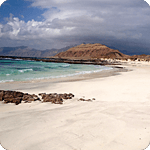 Northeast of the island with a natural marine reserve. 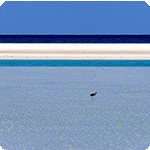 Underwater paradise offers one of the best conditions for diving. 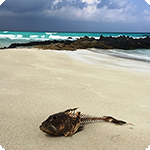 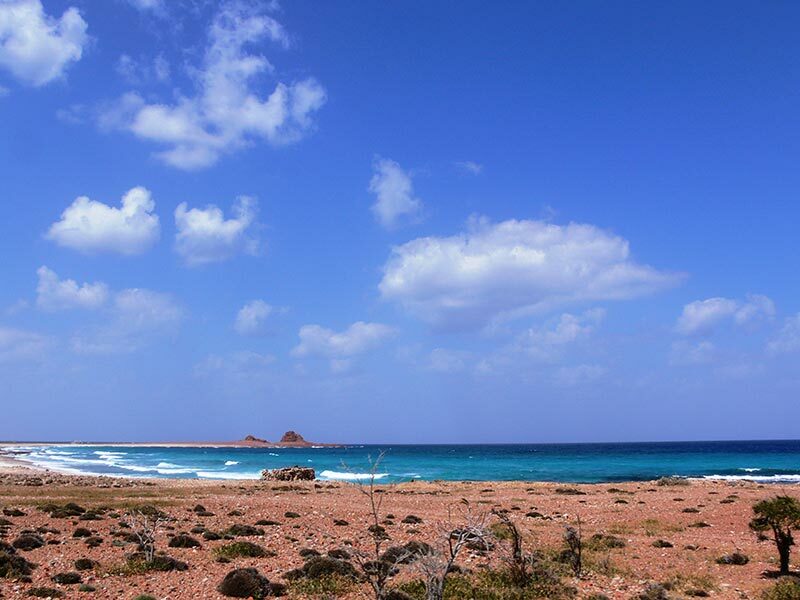 The reservation Dihamri is a habitat of a vast number of diverse species of fish and beautiful coral reefs. 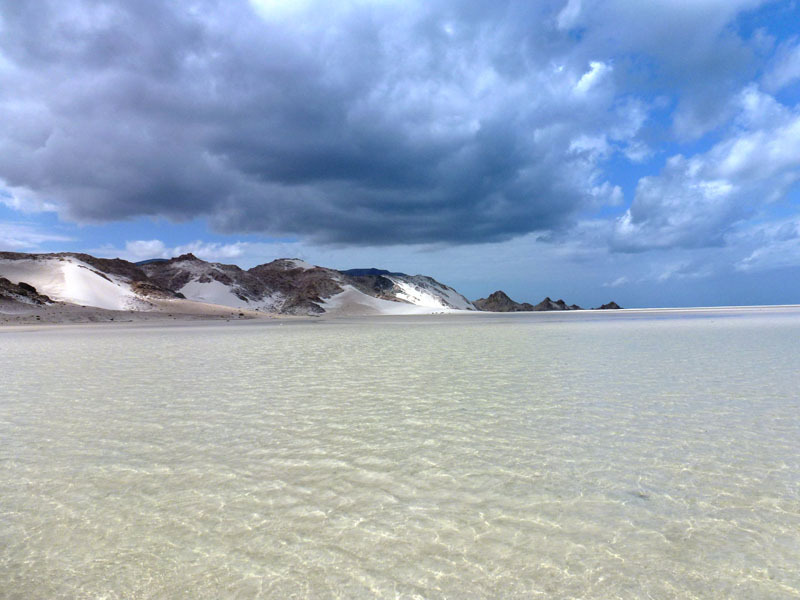 To see this remarkable world it is enough to have diving goggles and snorkel that you may borrow from a park ranger. 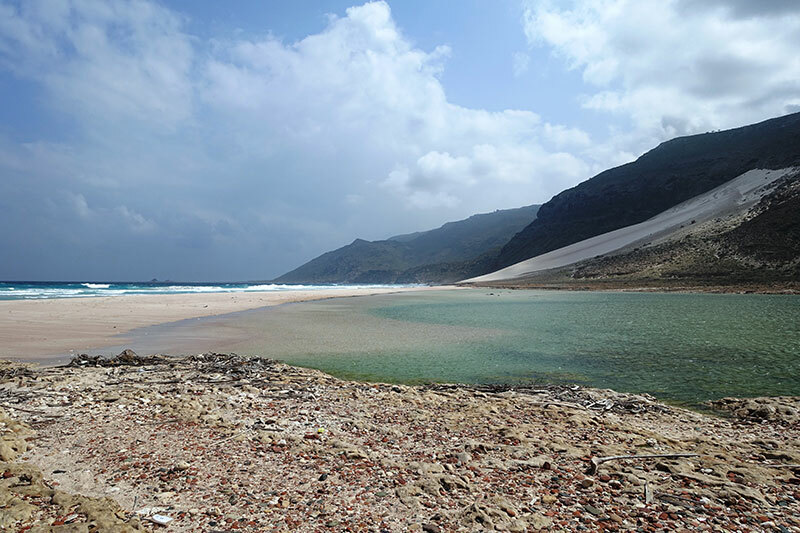 Unambiguously the most impressive place and beach of the island, called magic eye. 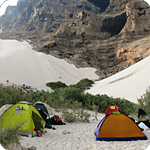 Well equipped camp of the owner Saidi including showers and toilets is available. 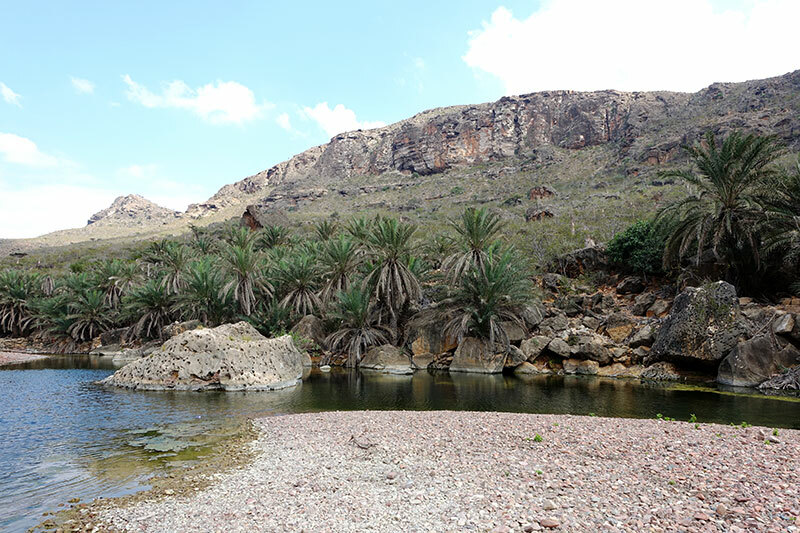 In this area you can both relax and take walks in the surroundings of the bay. 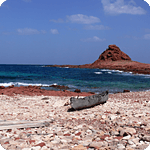 You will get to separate and unbelievable place, sandy beach Shouab with turquoise colour of sea in an hour by boat from Qualansia village. 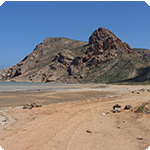 Monumental mountain massif and seclusion of beach guarantee quiet and unique atmosphere. 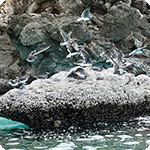 You can snorkel, if you are lucky you will see turtles caretta, shoals of dolphins and rare kinds of birds. 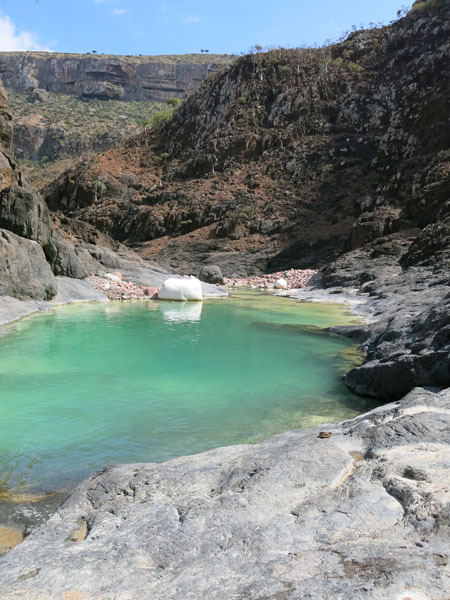 Monumental sand dunes and crystal-clear river flowing from the mountains comlete the uniqueness of this area. 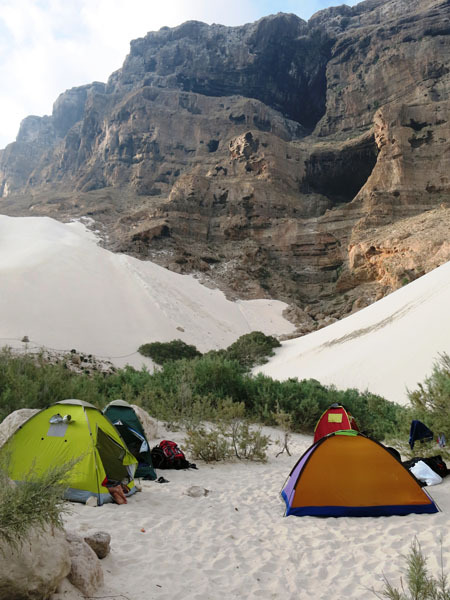 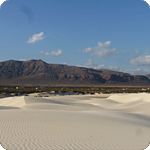 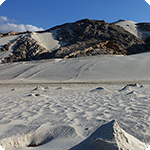 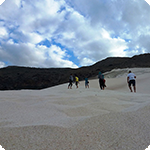 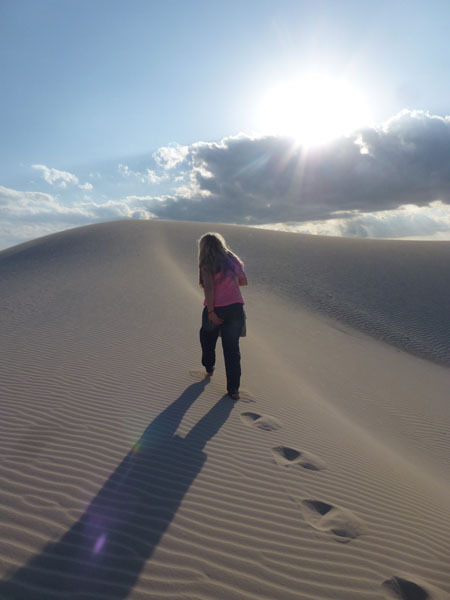 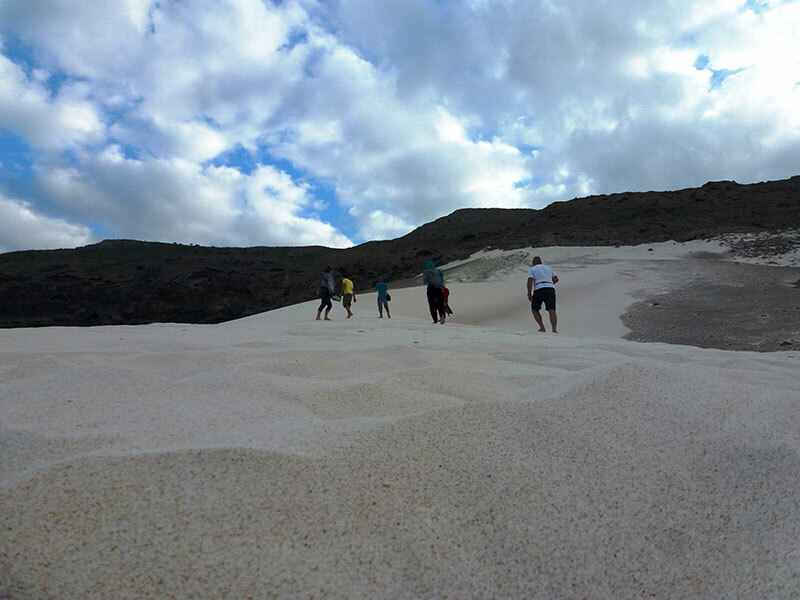 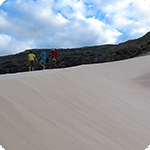 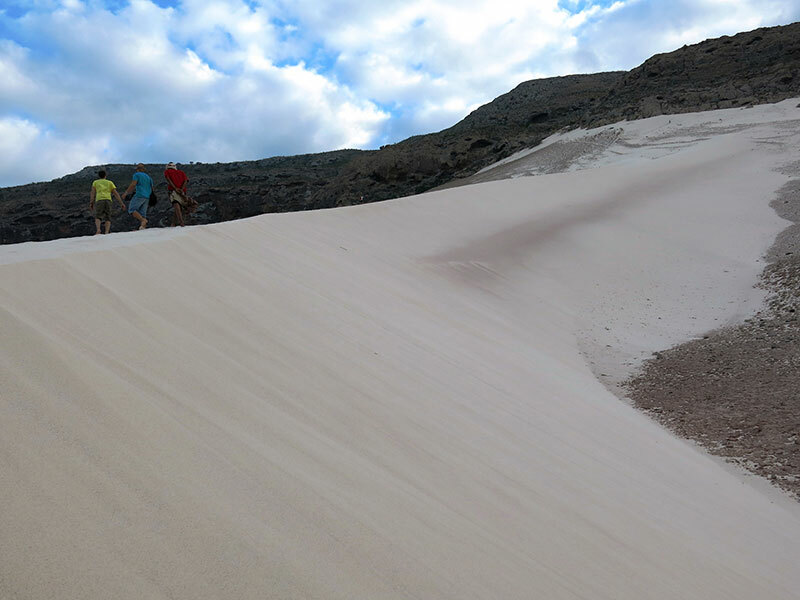 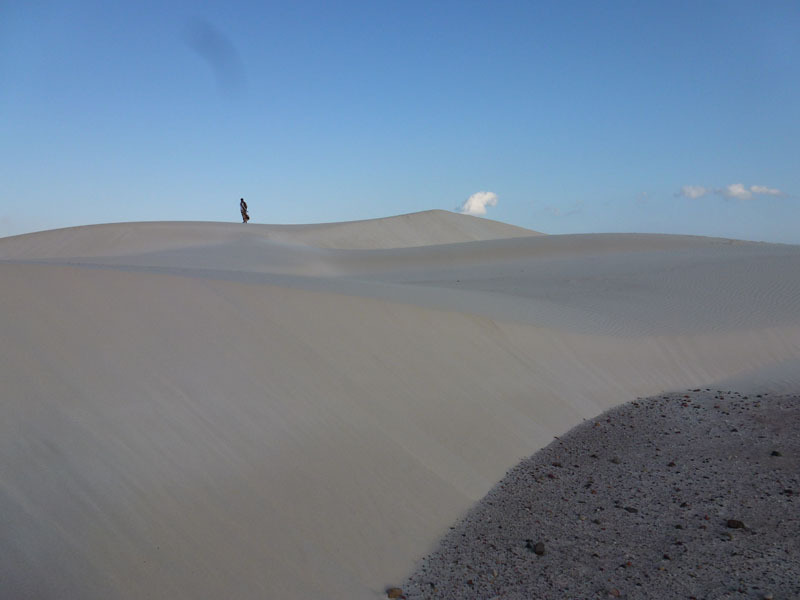 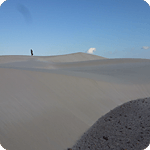 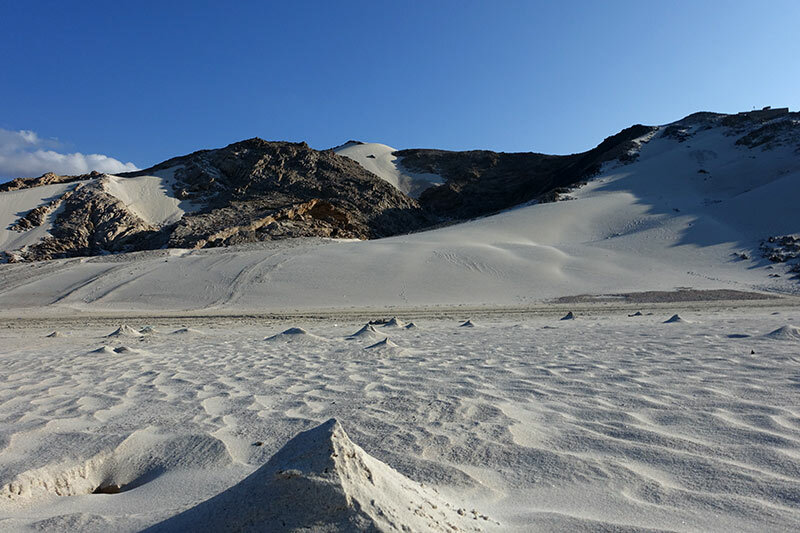 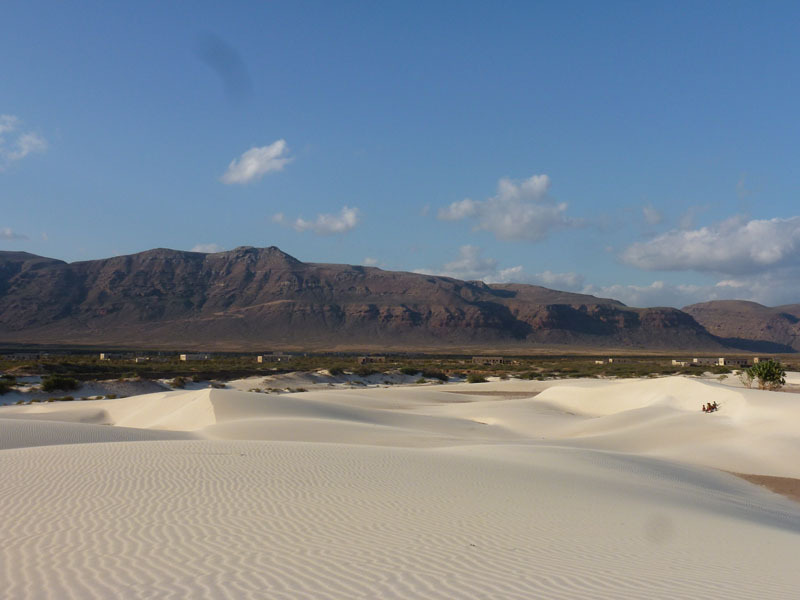 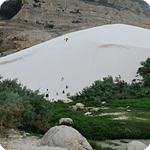 It is a magic place for camping, relaxing or challenging climbing one of the dunes. 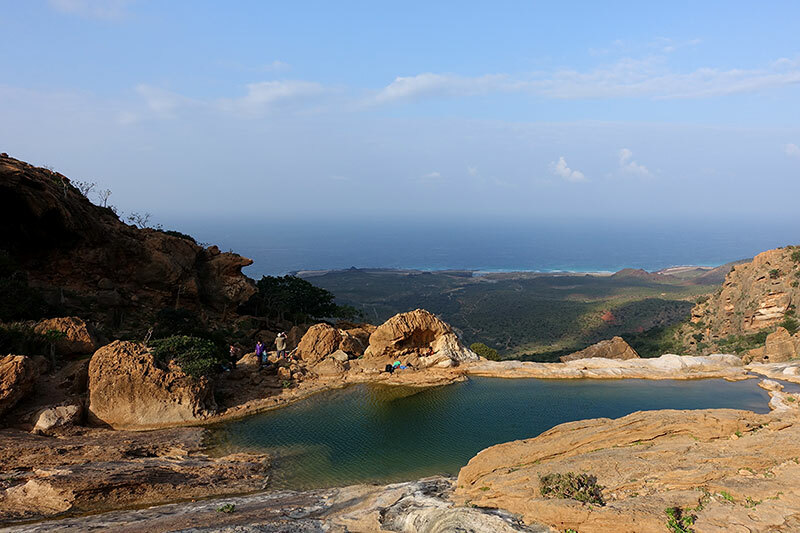 View from the top of the coast is breathtaking. 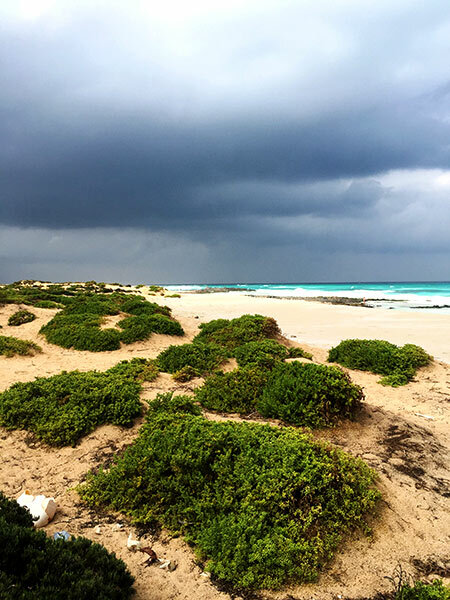 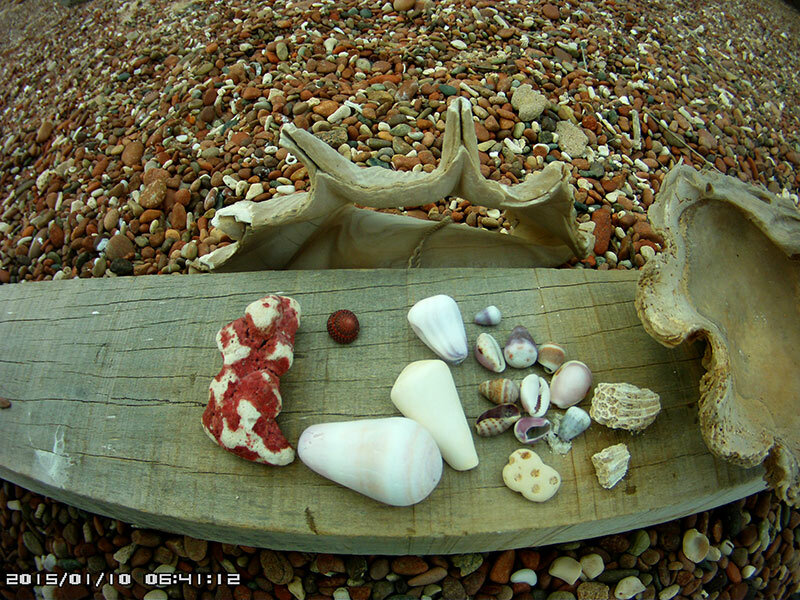 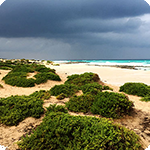 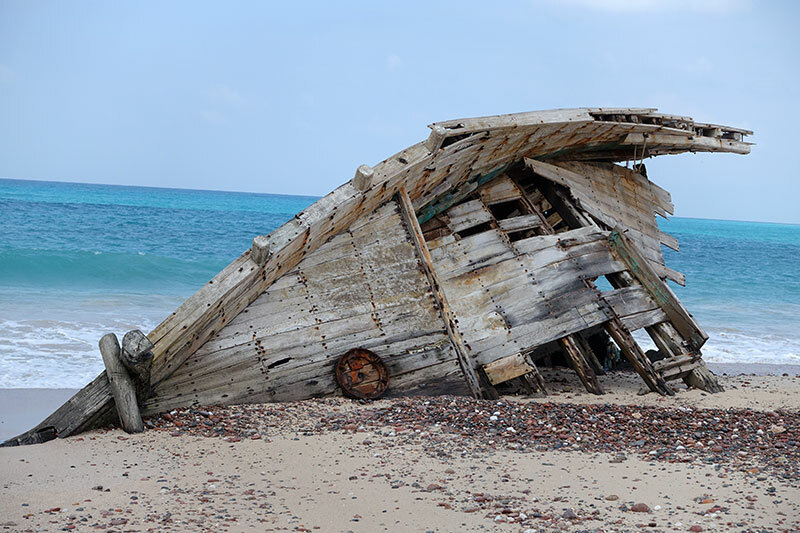 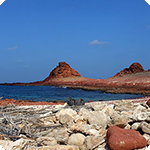 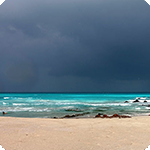 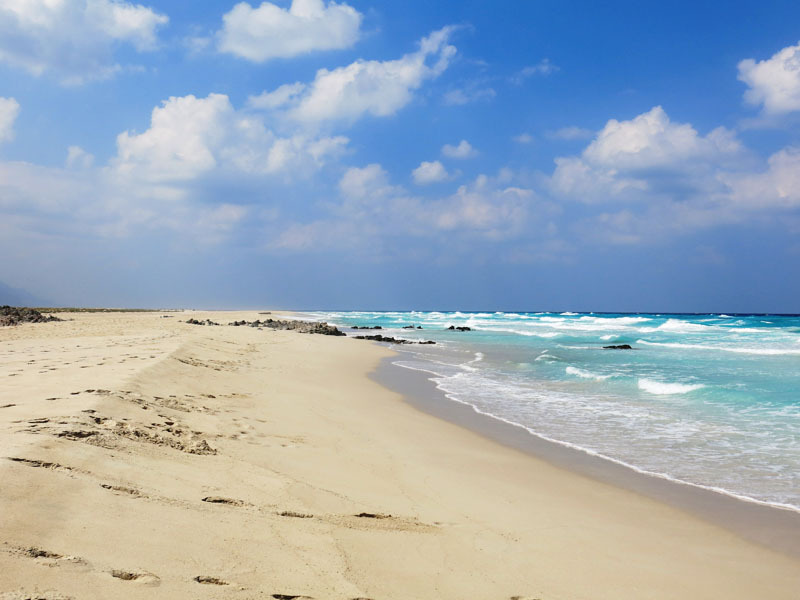 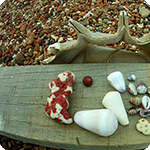 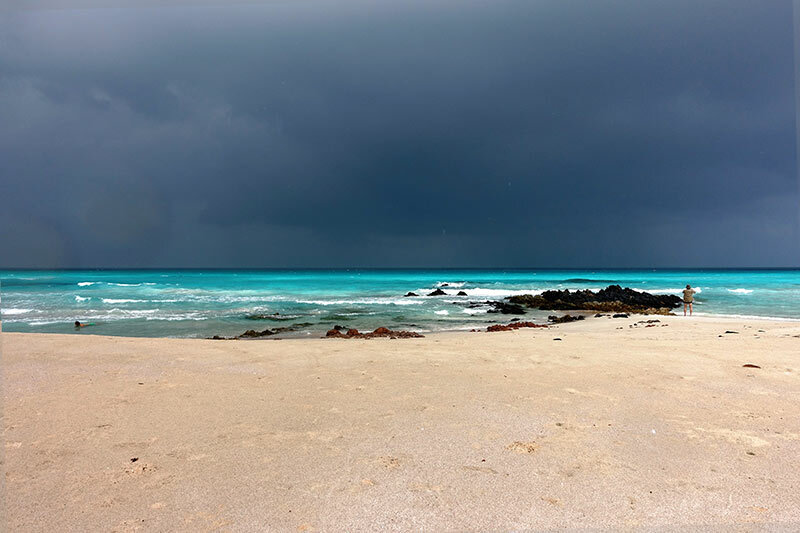 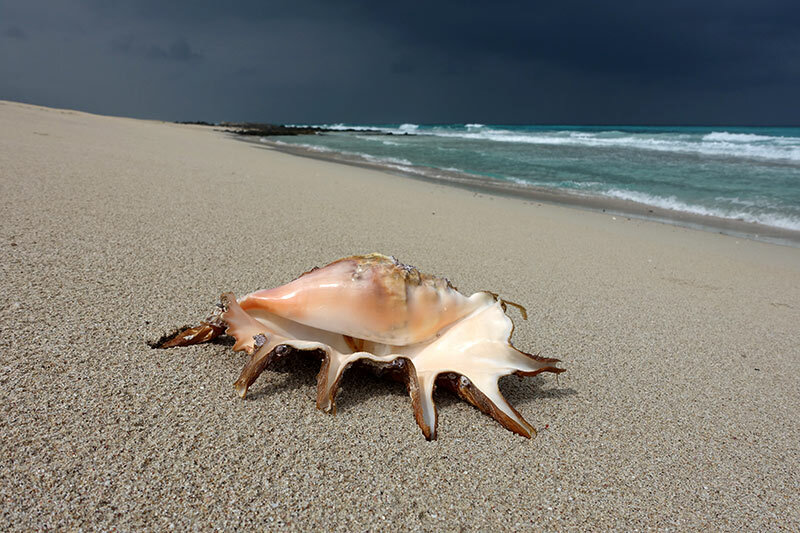 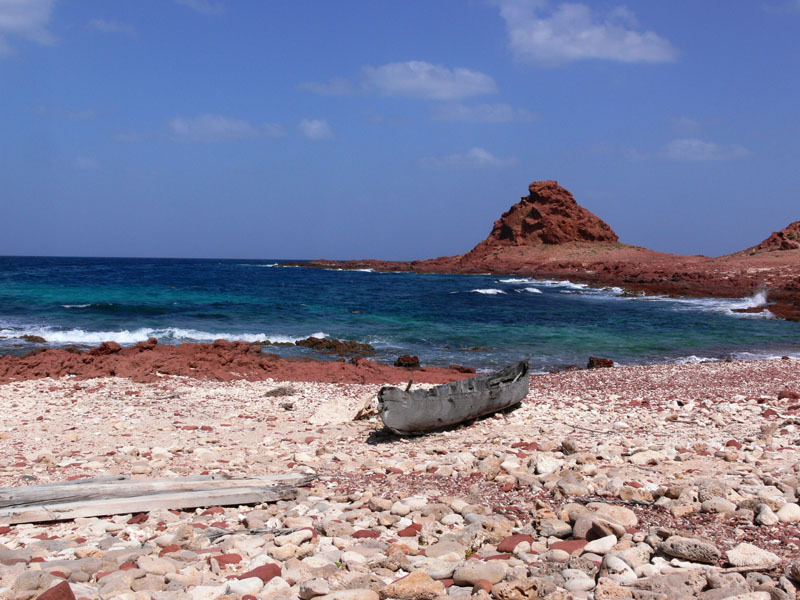 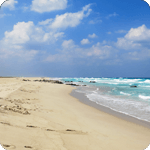 North-eastern point of the island, Ras Ersel, is surrounded by many wild and unspoilt beaches. 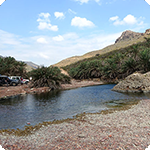 The area is suitable for fishing. 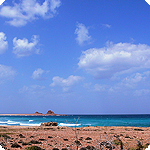 Delicia is a sandy beach not far from Hadiba. 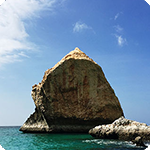 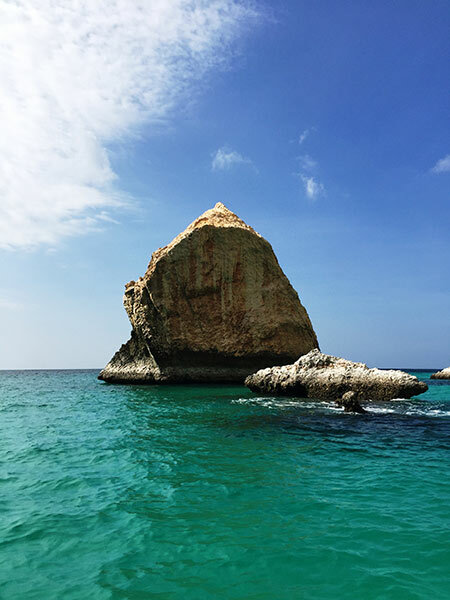 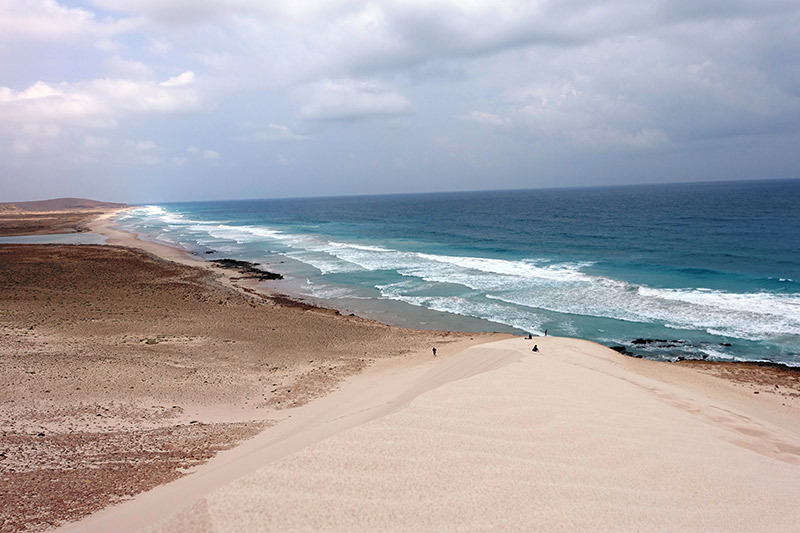 You can swim in the sea, sunbathe or climb up the sand dune which is grounded on rock massif. 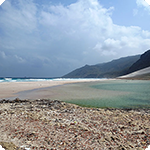 In the surrounding of Delicia there are strong undersea flows and so do not swim far from the beach. 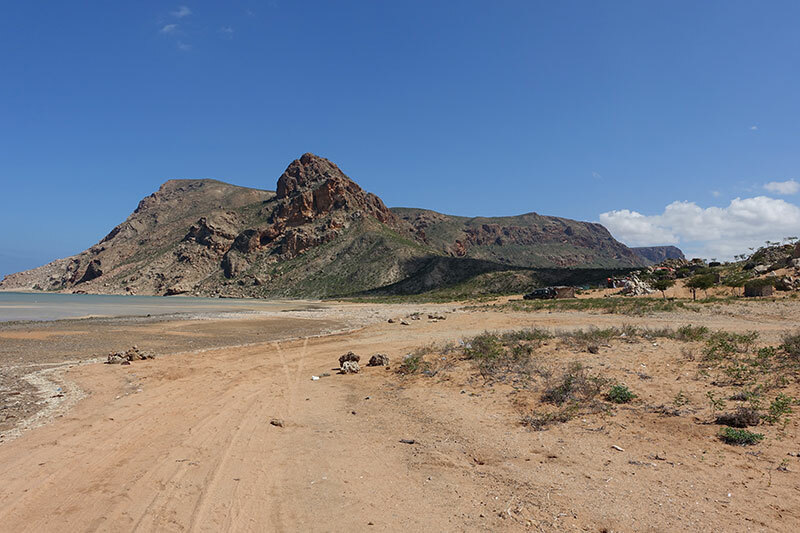 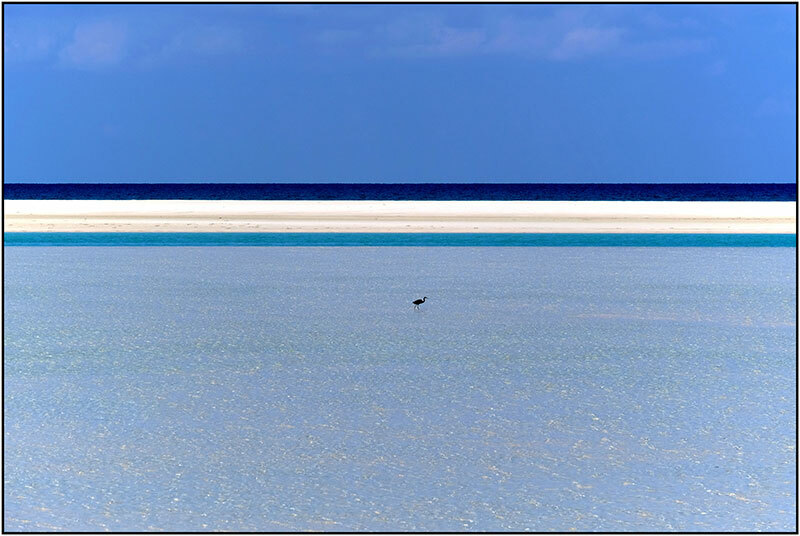 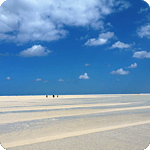 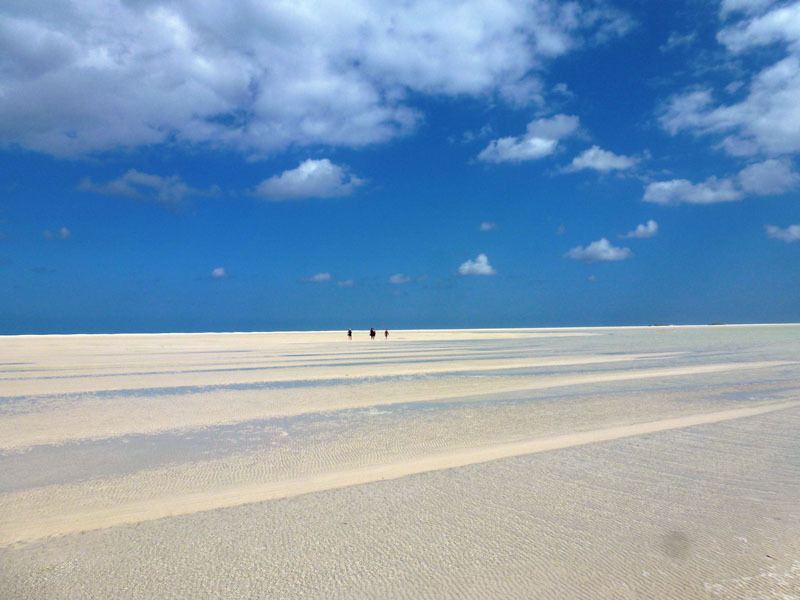 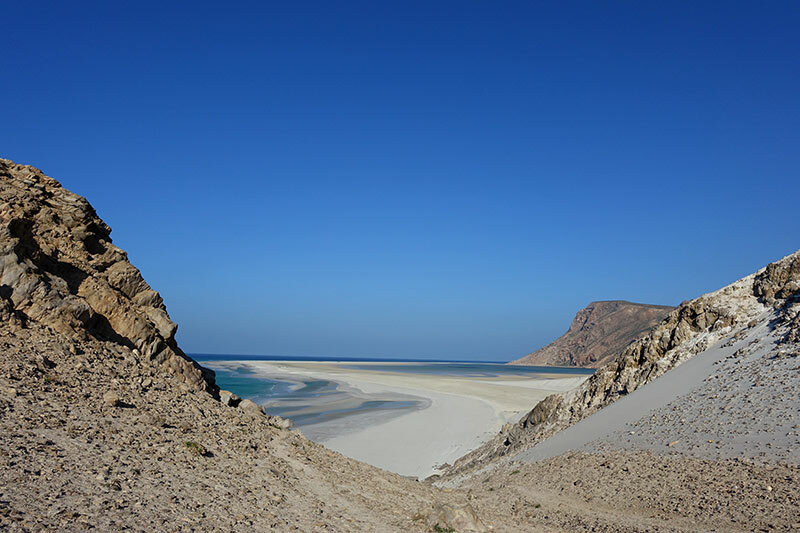 Aomak – Noged – Zahek - the most remote area and the longest beach on the island´s southern coast overlooking the Indian Ocean. 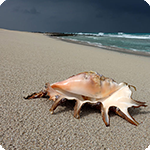 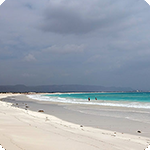 Peaceful place lined with long beaches with snow-white sand invites you to relax or visit the surrounding villages. 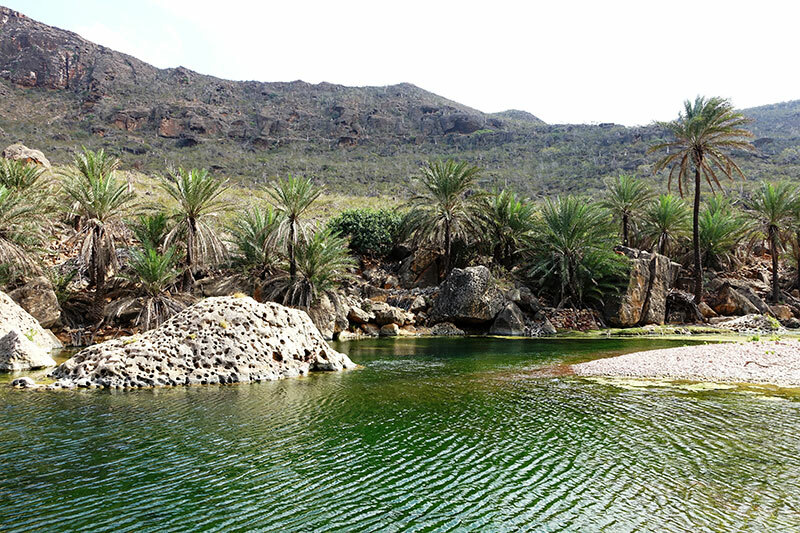 Enjoy unique moments near the oasis of palm trees, where the desert stretches along the ocean coast. 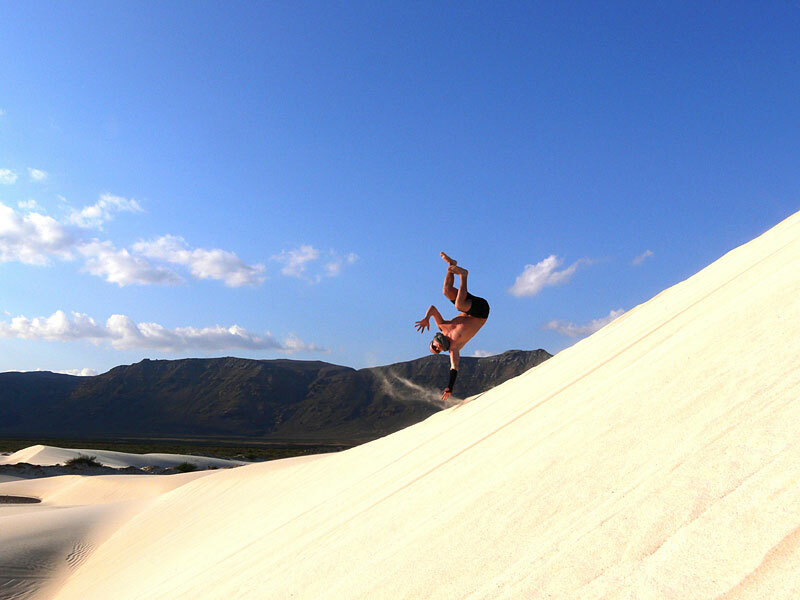 For fans of photography, this place offers incredible scenery of sand dunes. 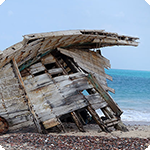 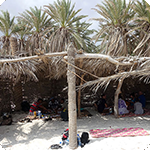 The beach with shelters provides very good facilities for camping, including electricity, basic showers and toilets. 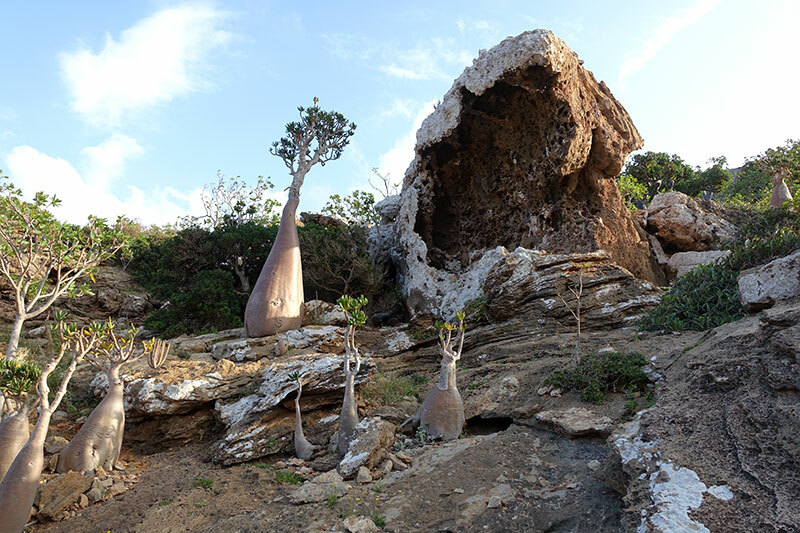 In the central part of the island you suddenly find yourself in prehistoric times. 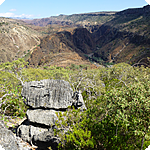 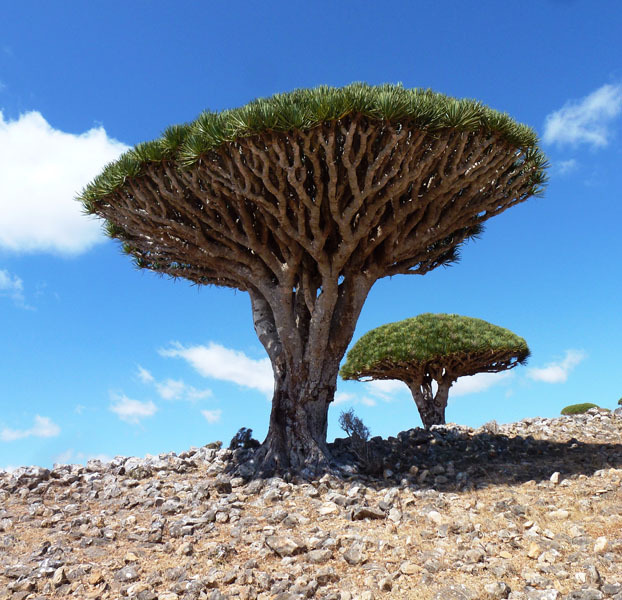 Plateaus and canyons with unique endemic trees of Dragon´s Blood (Dracena). 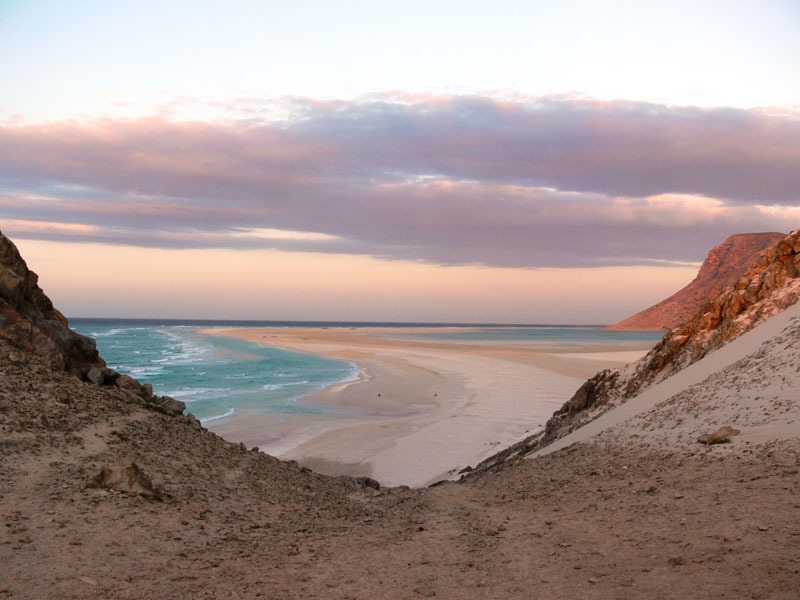 An endless game of shadows and colours in the sunset paints such bizarre image that can be hardly believed. 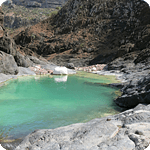 Swimming in a rocky pool in the valley is a reward for a walk along the stony path in incredible landscape. 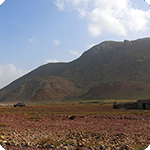 The plateau Homhil stretches on the north-east of the island. 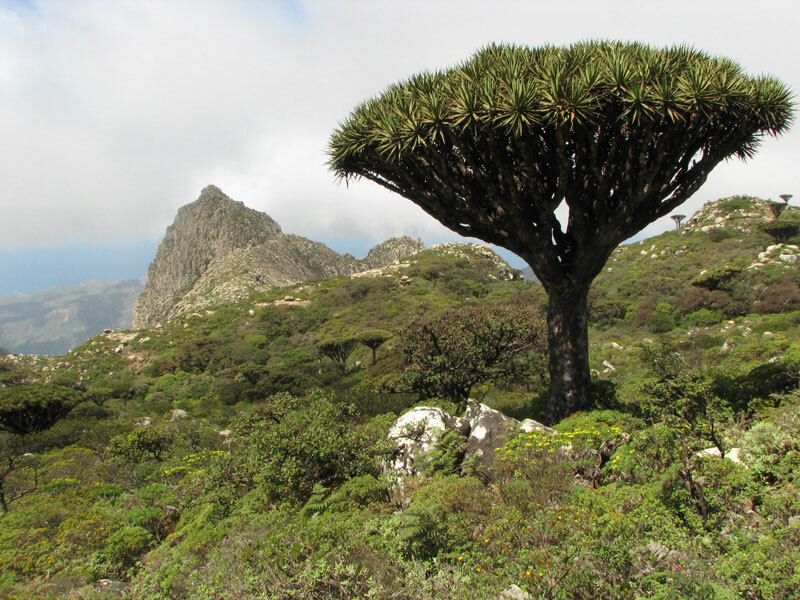 Protected area with many commiphoras, frankincenses, custard apples (Adenium obesum socotranum) and dragon blood trees (Dracena cinnabari). 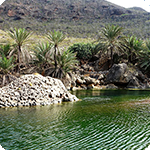 First of all a combination of various kinds of trees, steep slopes with dracaenas and natural lakes with pellucid water create unusual image of this country. 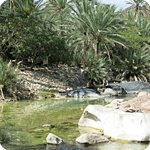 The area is rich in representatives of bird kingdom, reptiles, insects and others. 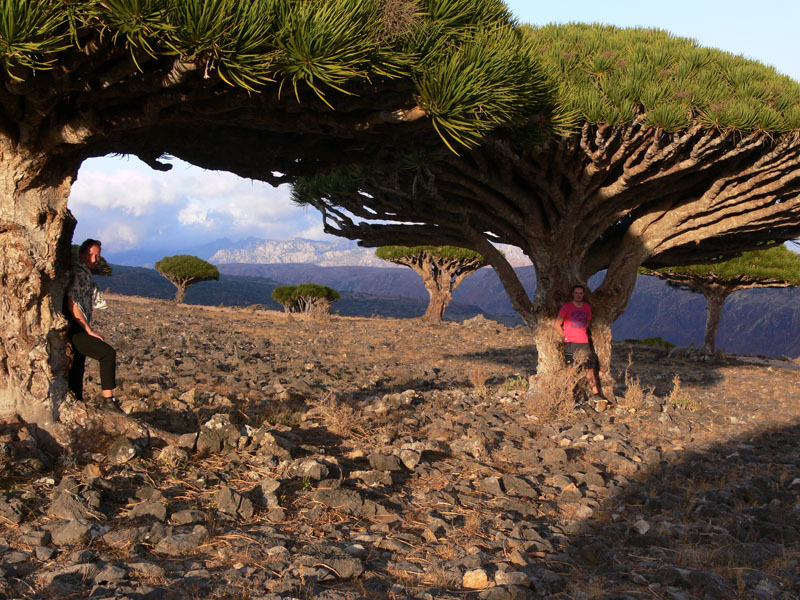 You can choose from many routes to take a walk at Homhilu. 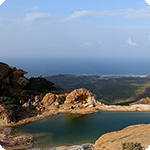 If you walk on inclined slope you will reach unbelievable panoramic lake with view to the ocean. 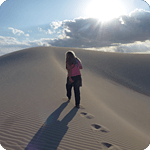 There are many paths and options where to go. 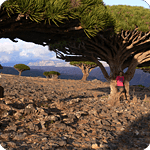 However, only an experienced local guide can recommend a suitable route depending on the season and your physical condition. 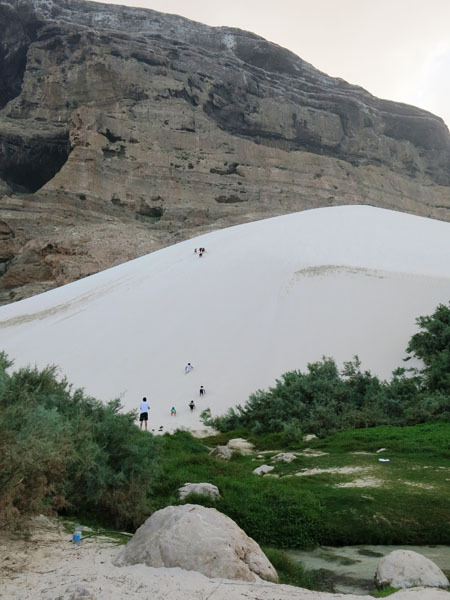 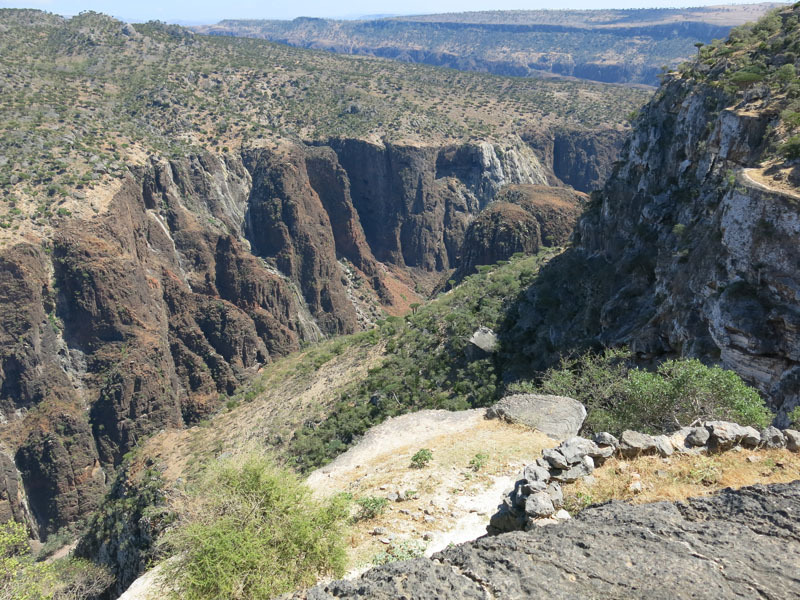 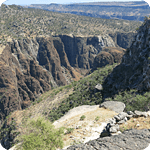 To climb the highest mountain areas of the Skand mountain and descend back to shore, the most beautiful natural site of Wadi Ayhaft, is one of the most exciting experiences and definitely a dream of each sport minded tourist. 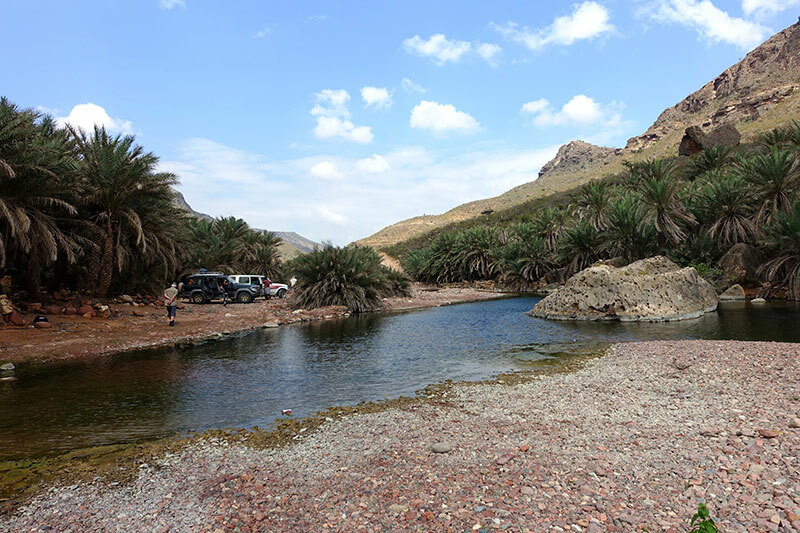 you can cross other wadi Dafarher on the way from southern coast. 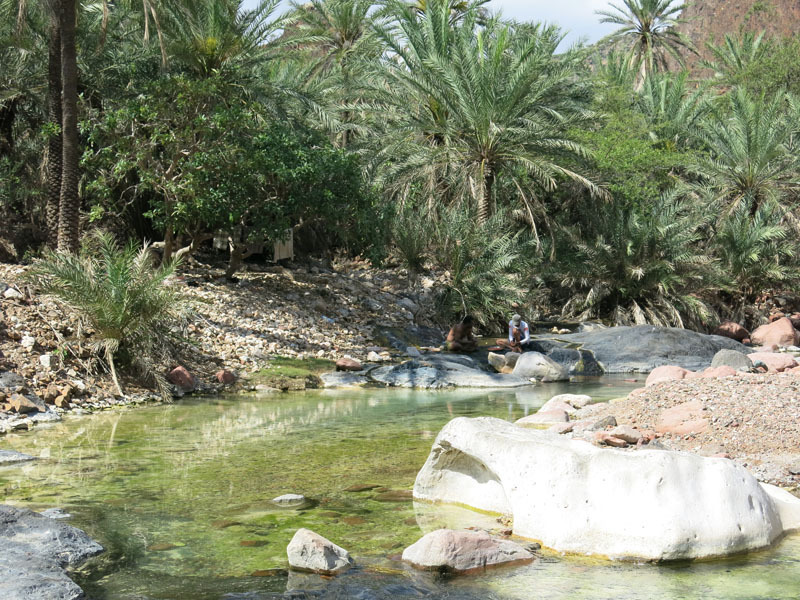 Pleasant place to have a rest and to swim in the oasis of palms. 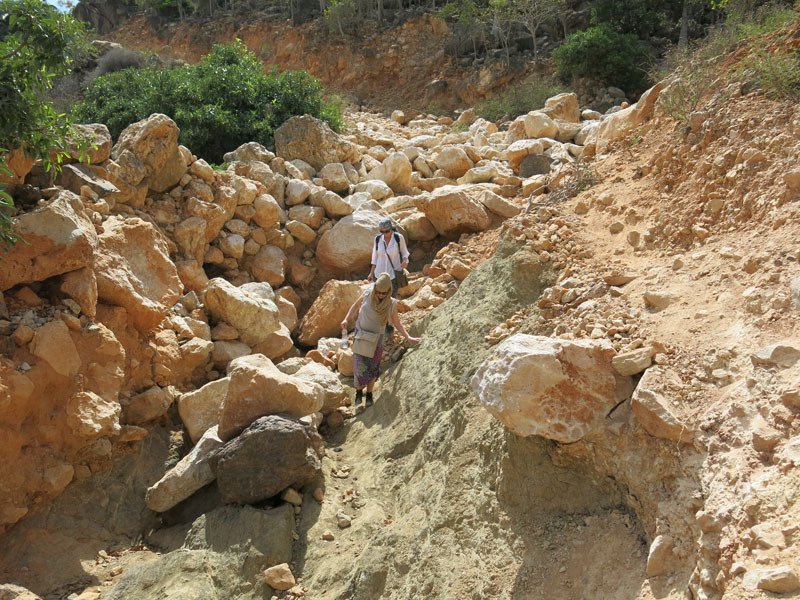 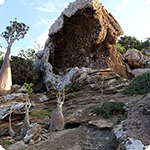 If you have time take a walk or ride in a whole valley with many villages and you will see a lot of custard apples and frankincenses rising in rocks. 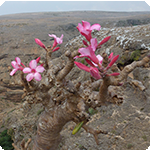 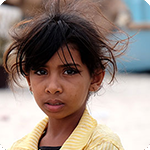 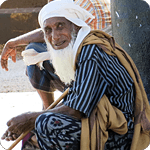 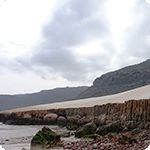 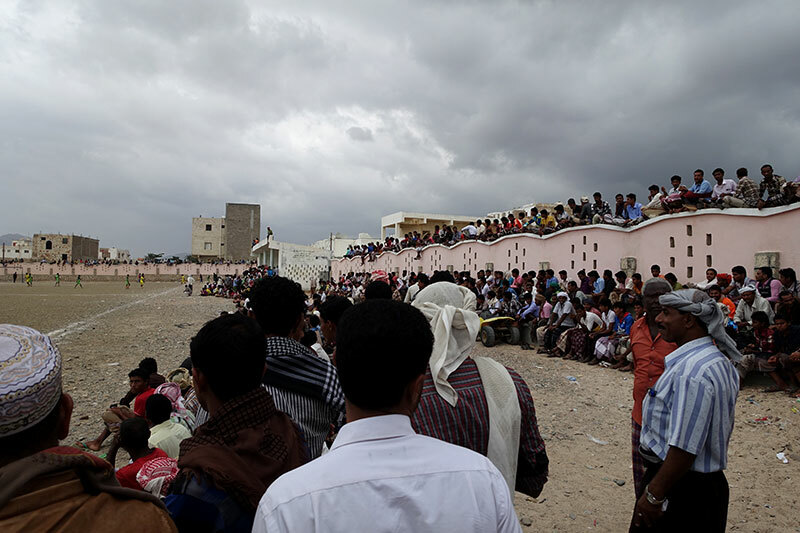 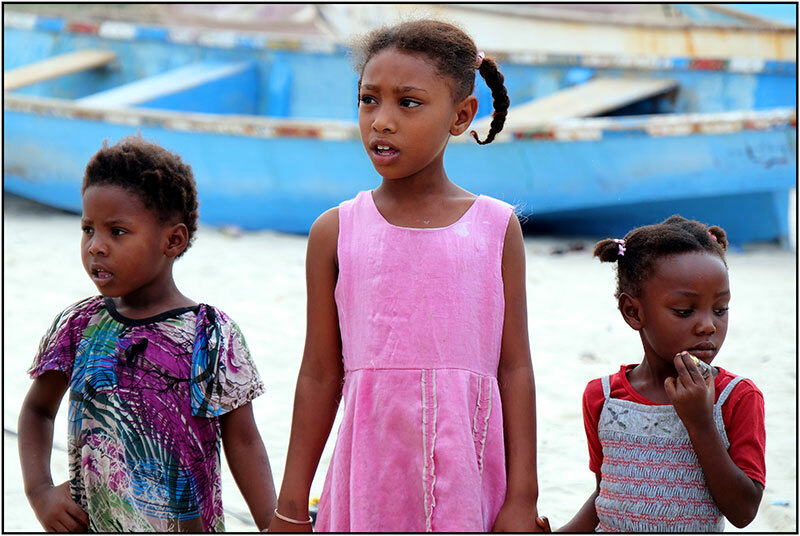 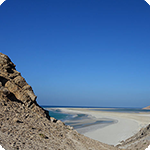 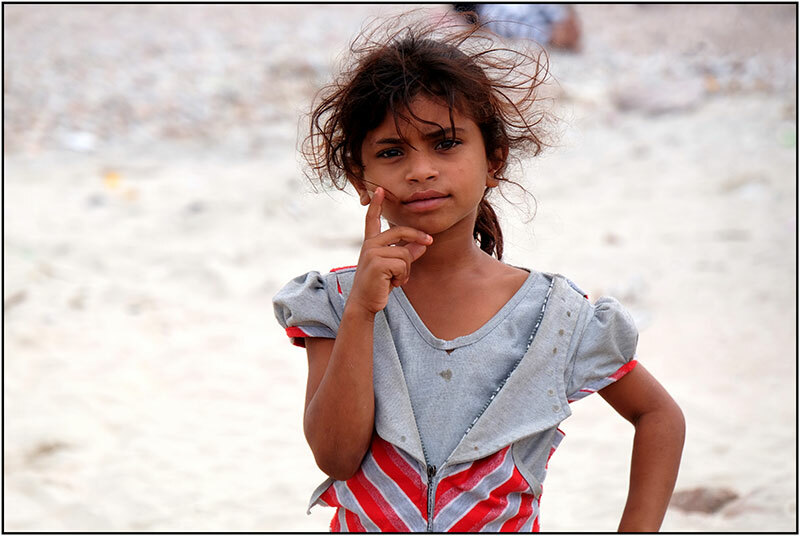 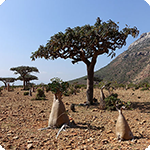 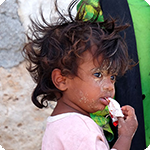 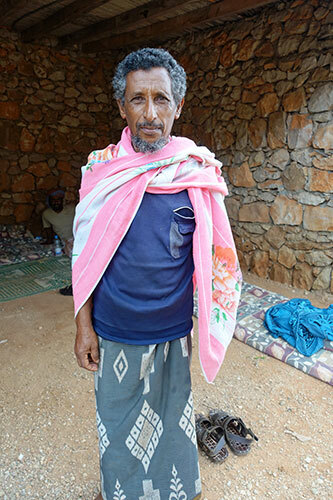 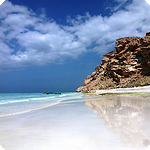 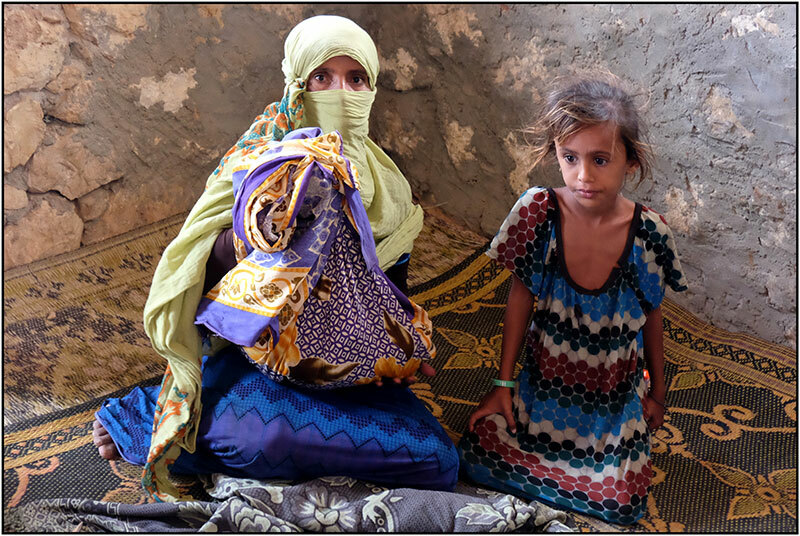 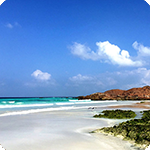 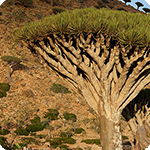 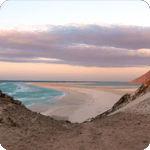 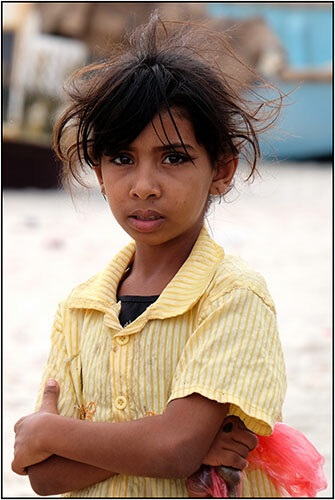 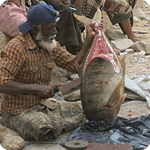 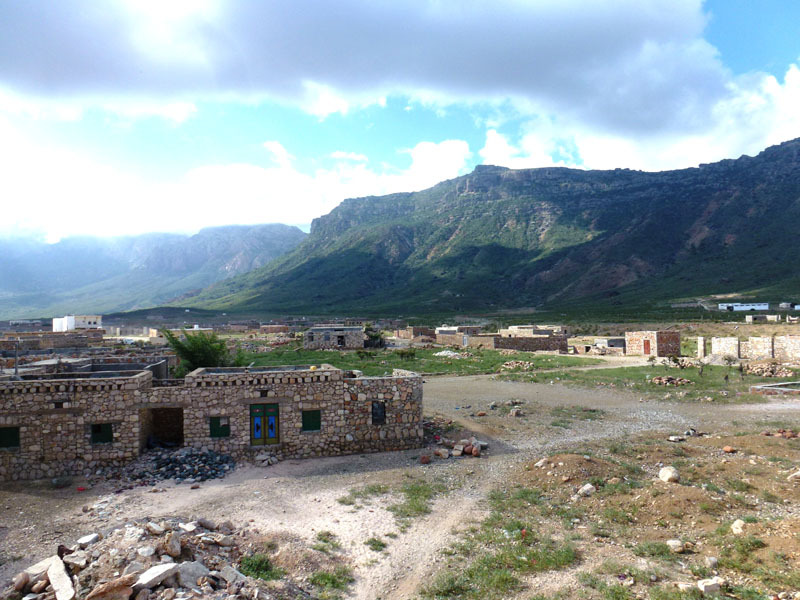 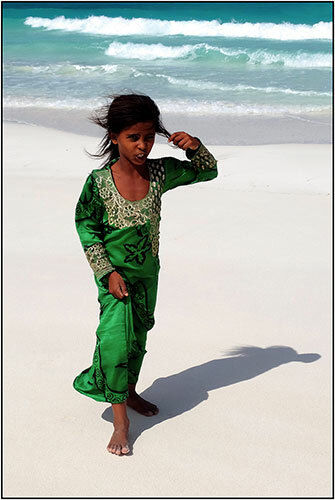 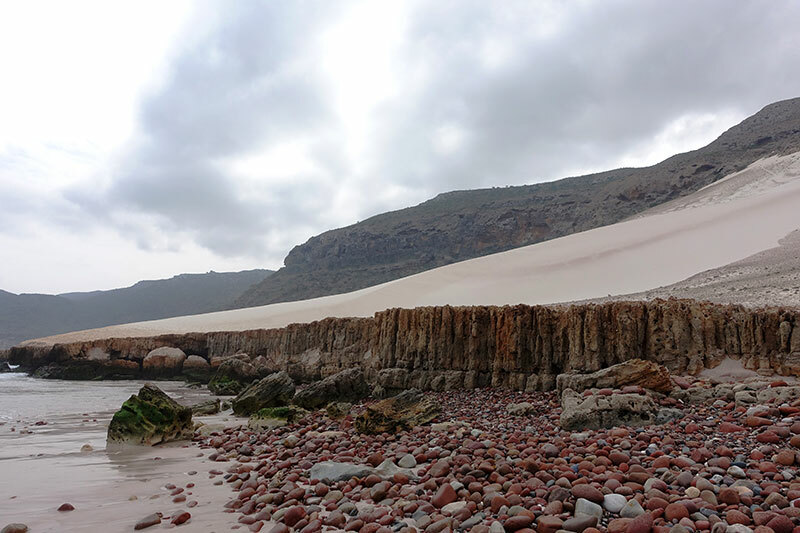 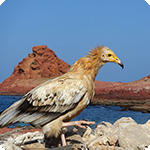 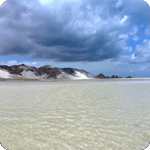 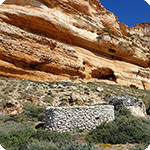 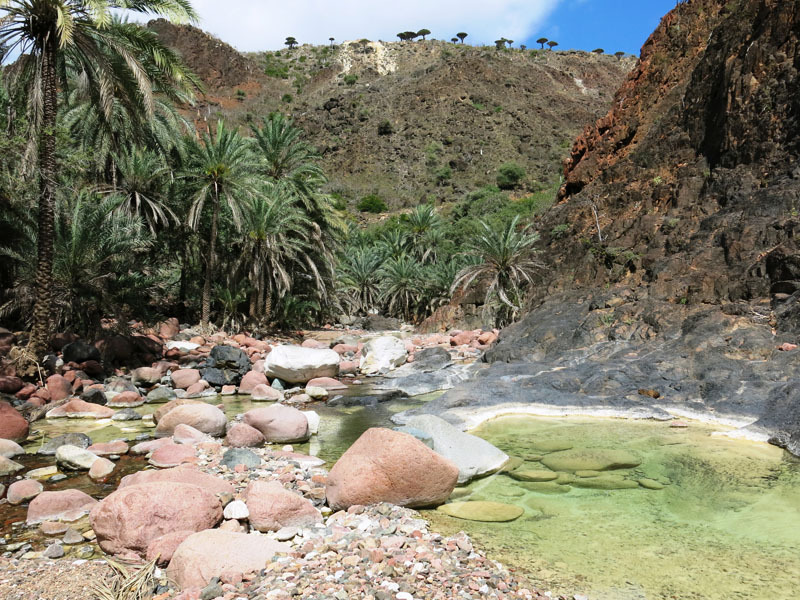 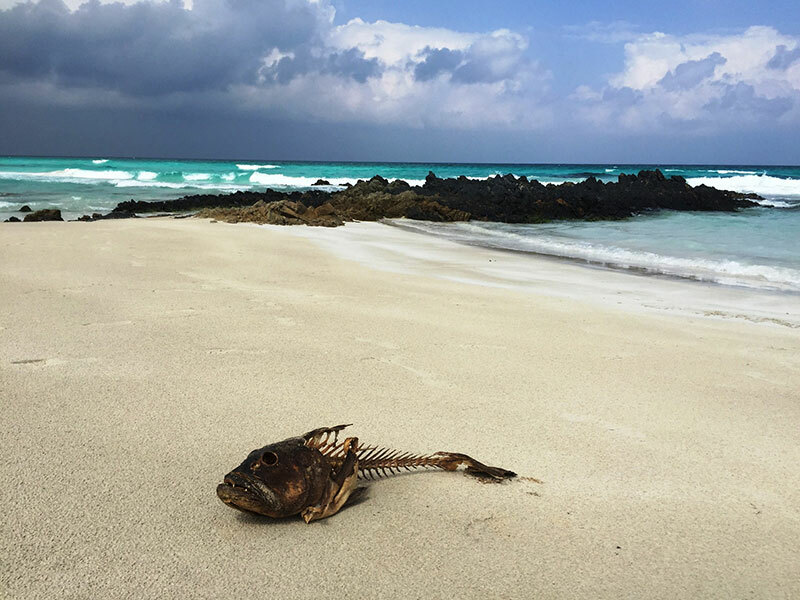 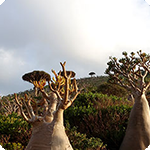 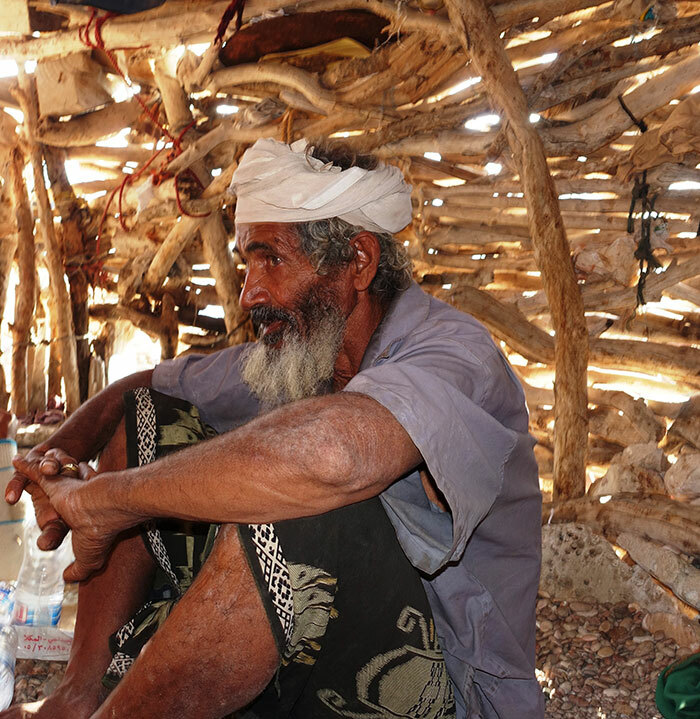 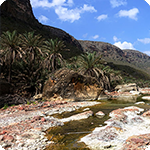 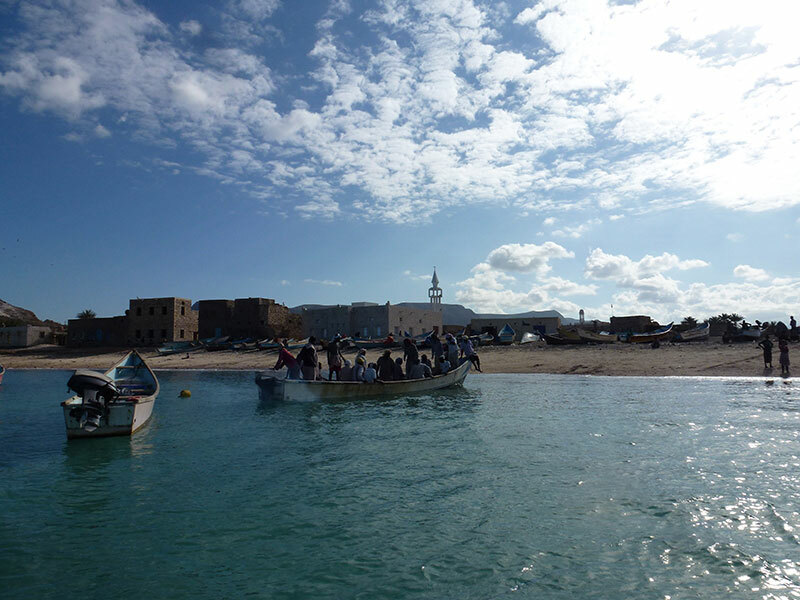 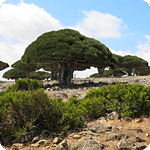 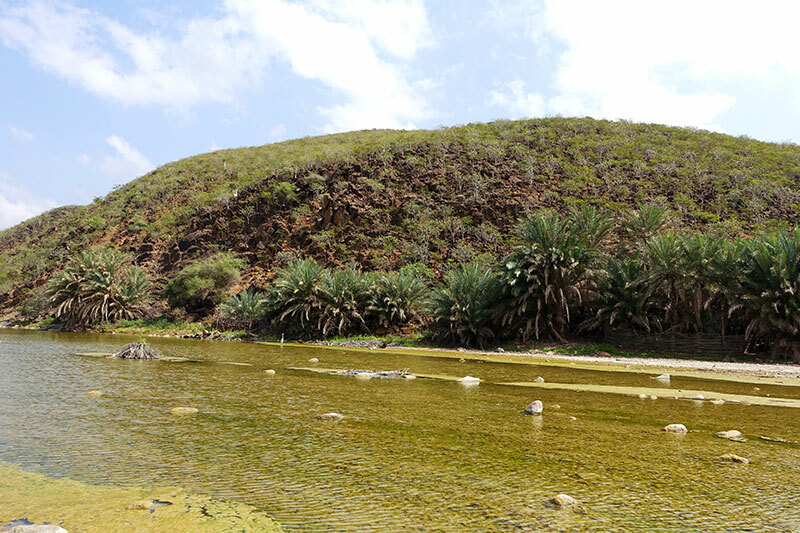 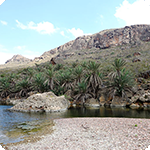 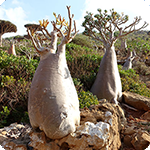 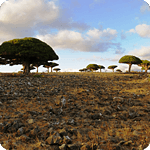 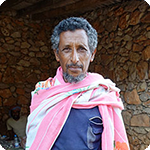 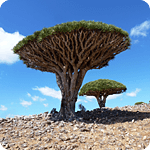 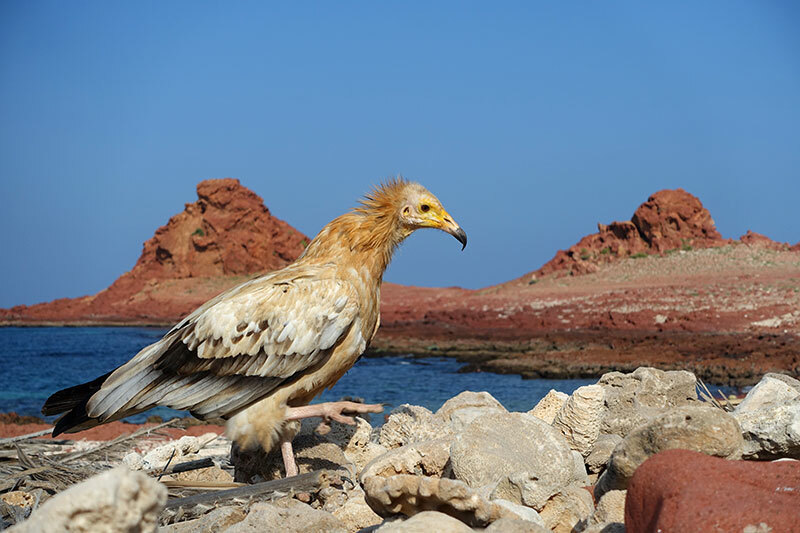 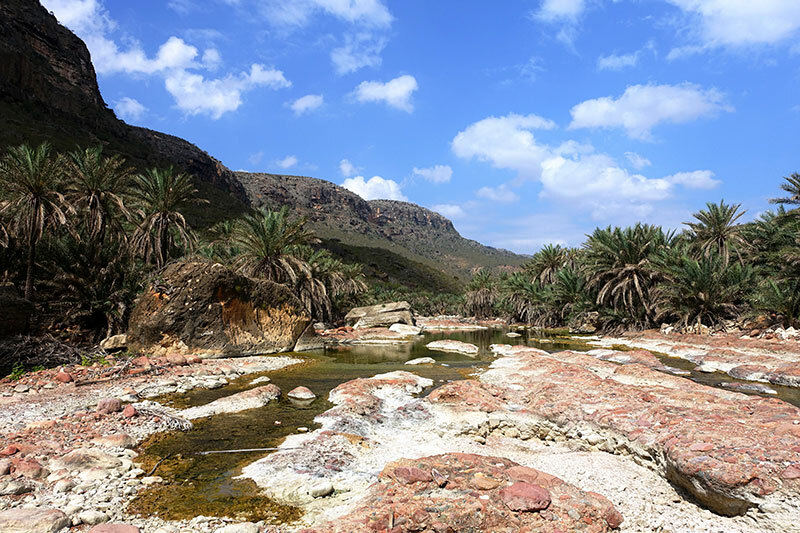 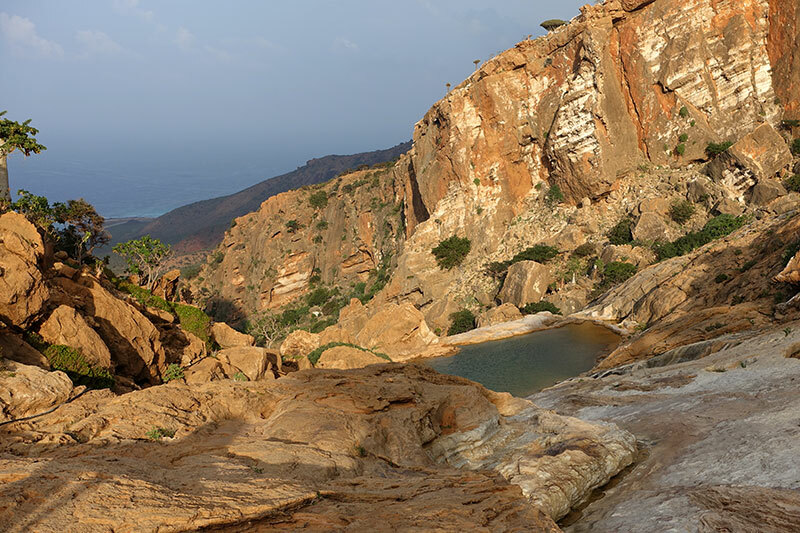 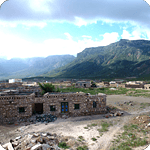 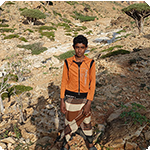 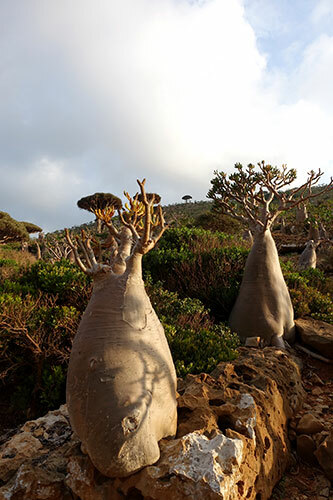 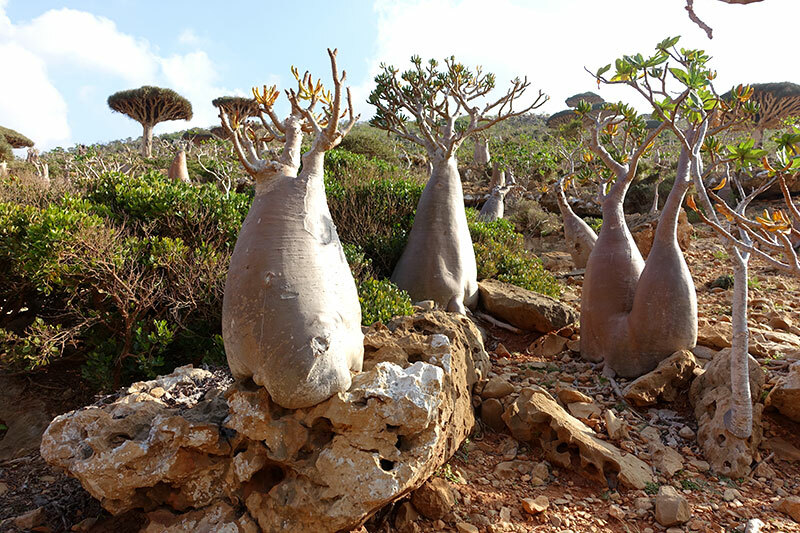 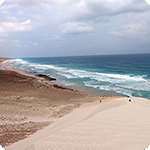 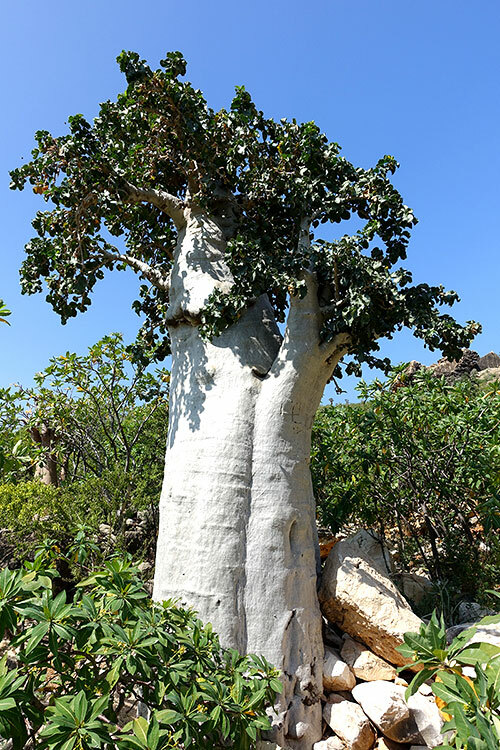 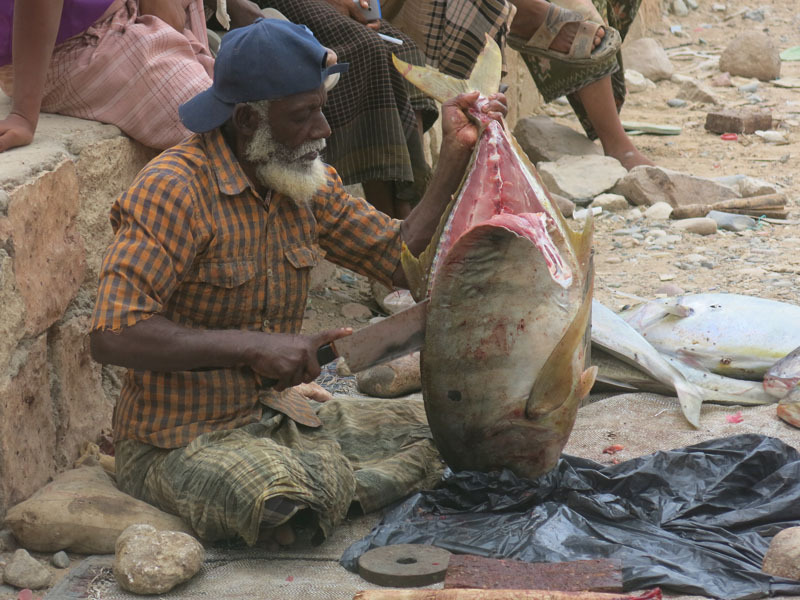 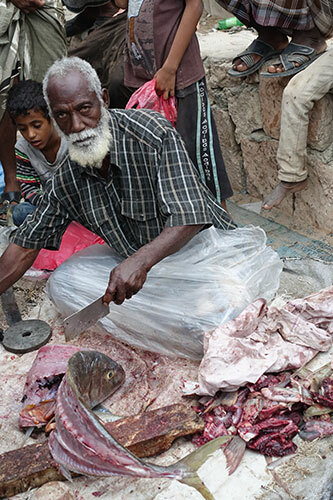 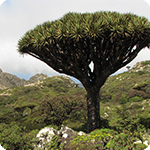 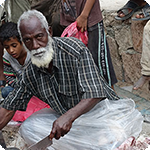 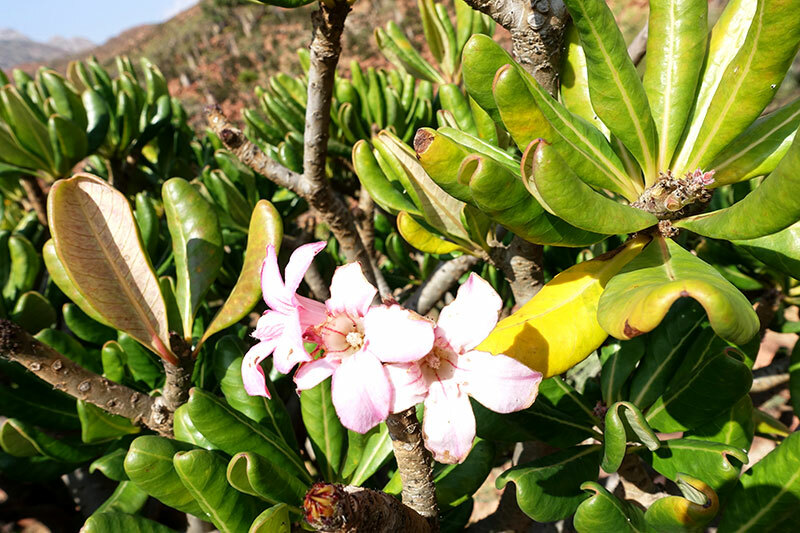 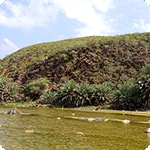 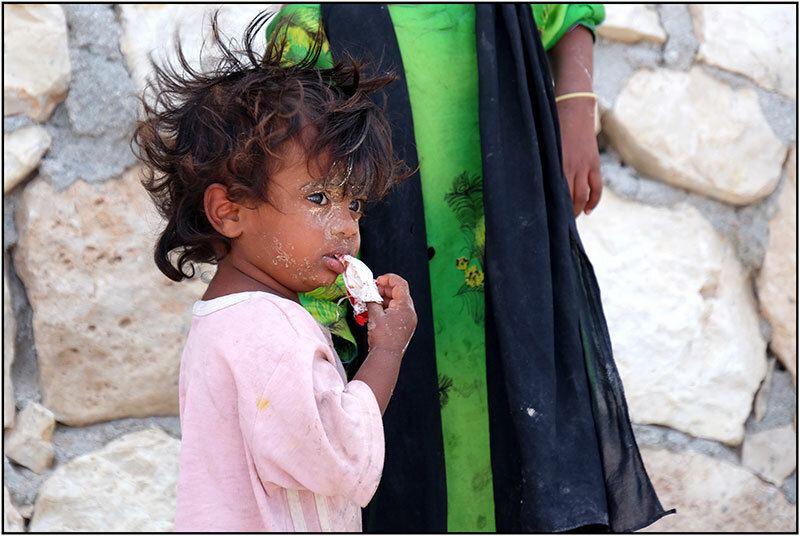 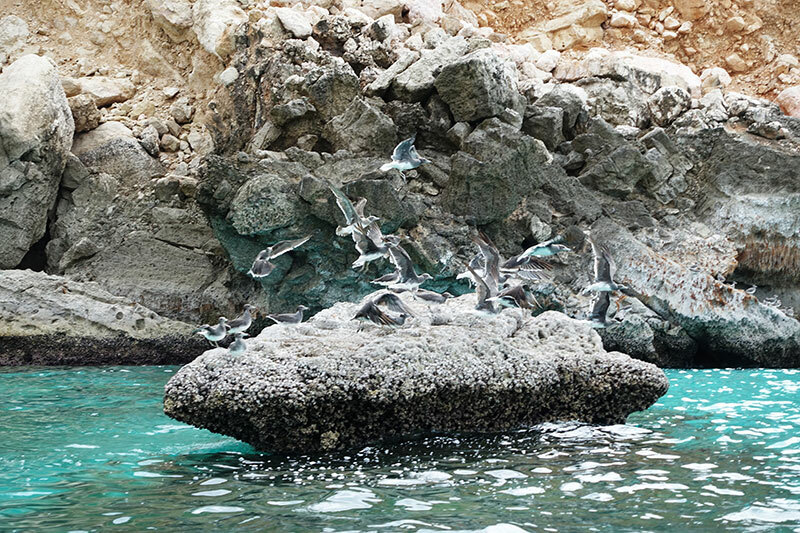 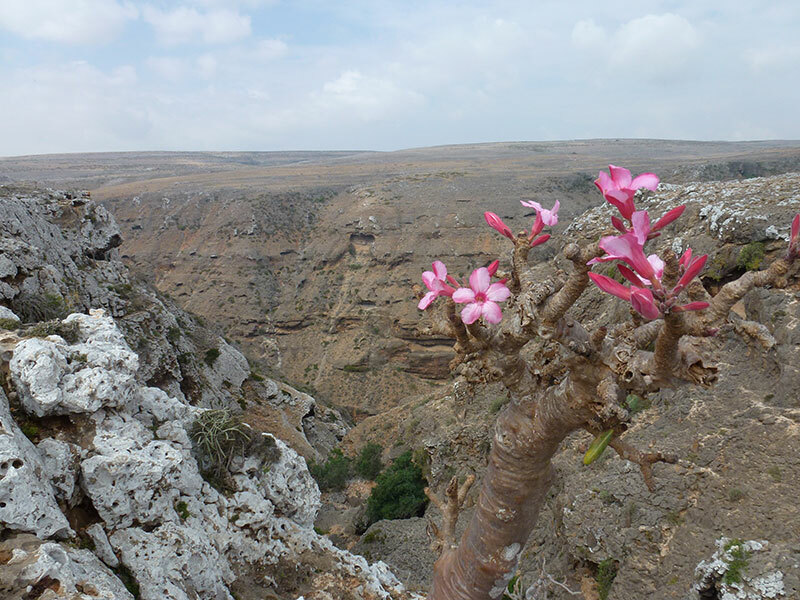 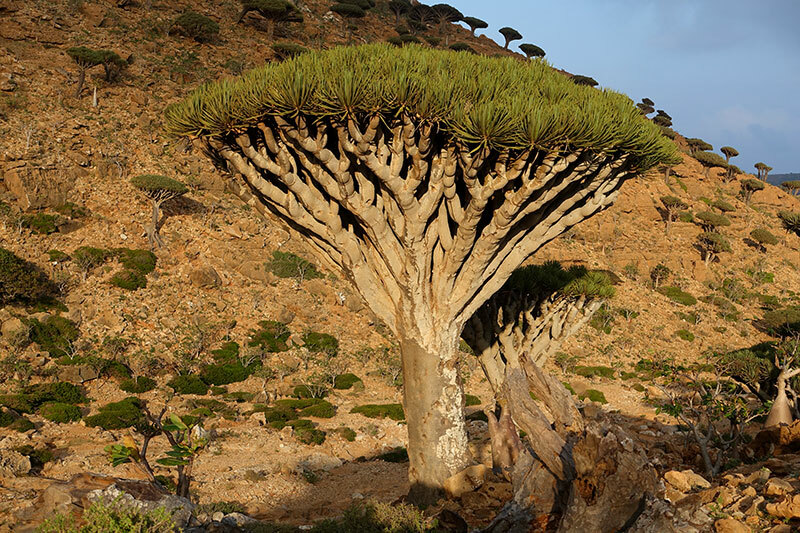 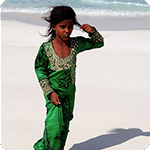 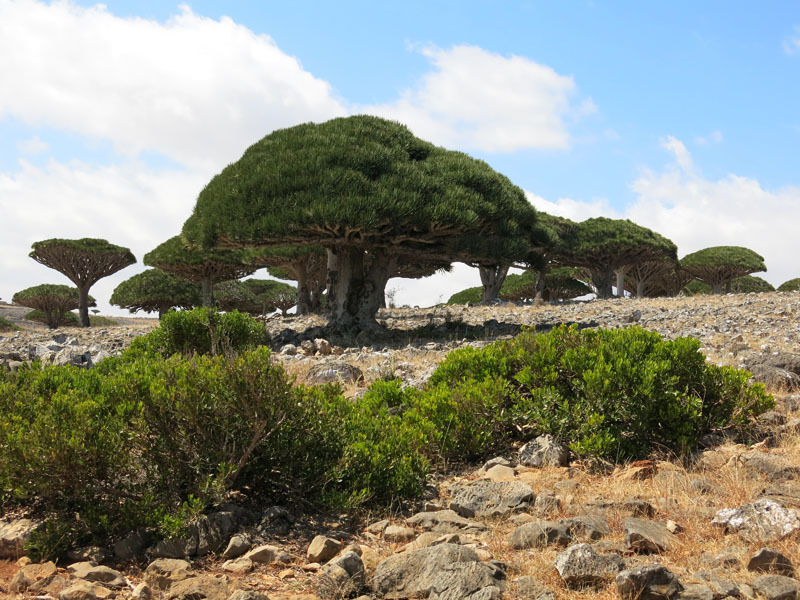 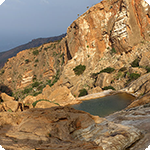 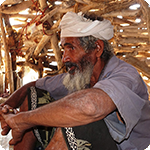 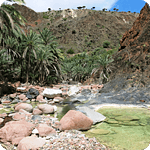 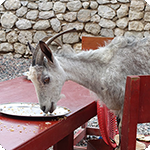 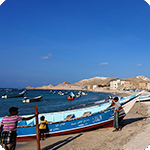 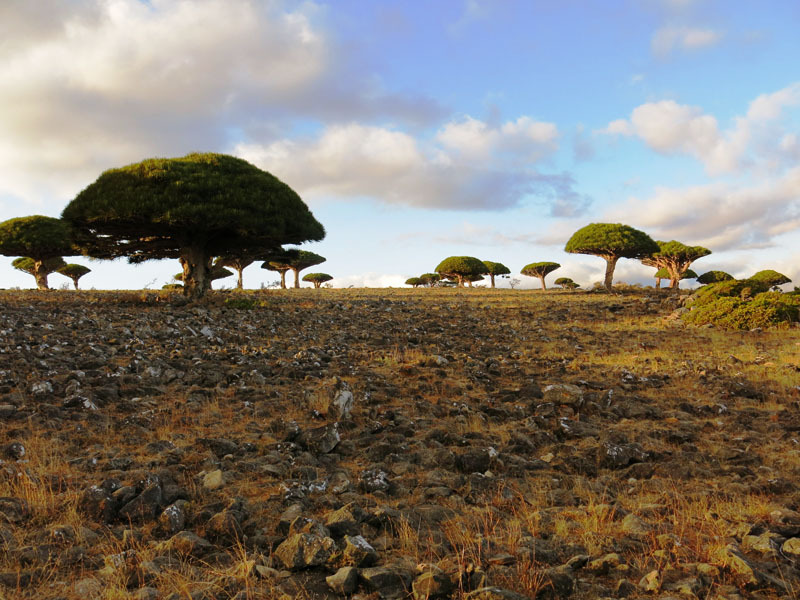 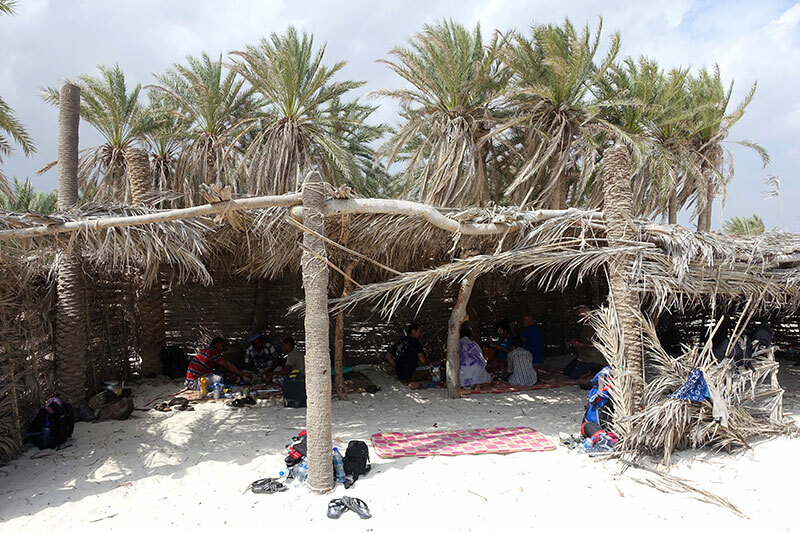 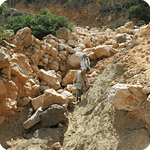 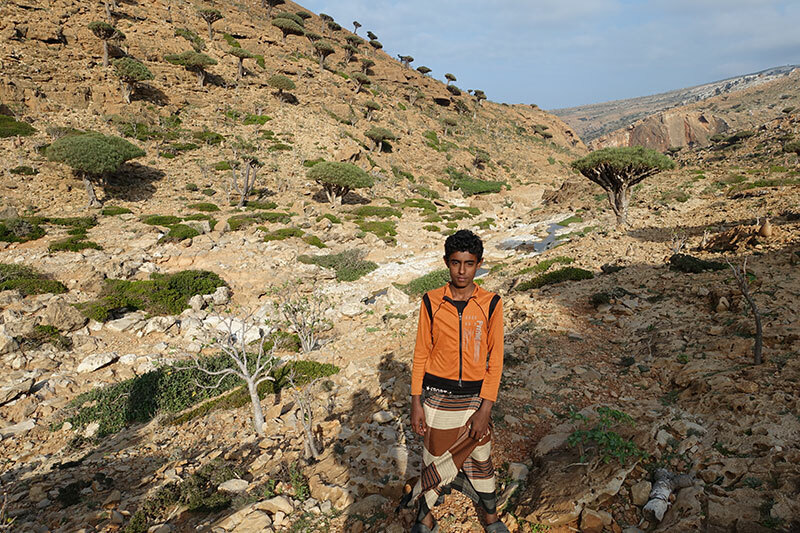 Inhabitants of Socotra belong unambiguously to the best features of the island. 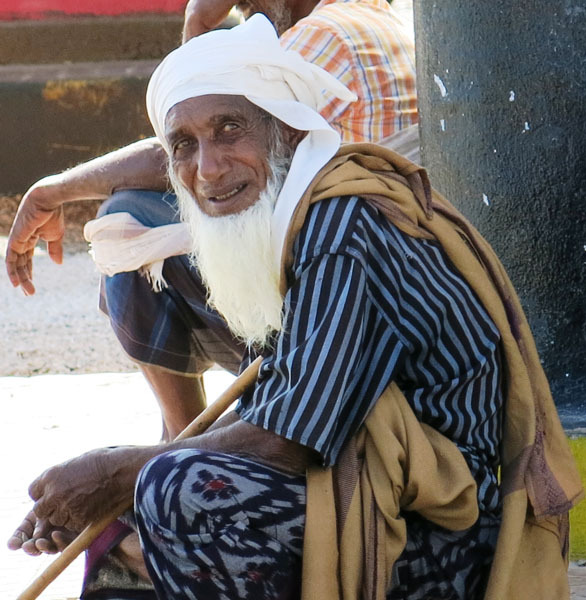 They are kind, helpful, smiling and unbelievably hospitable. 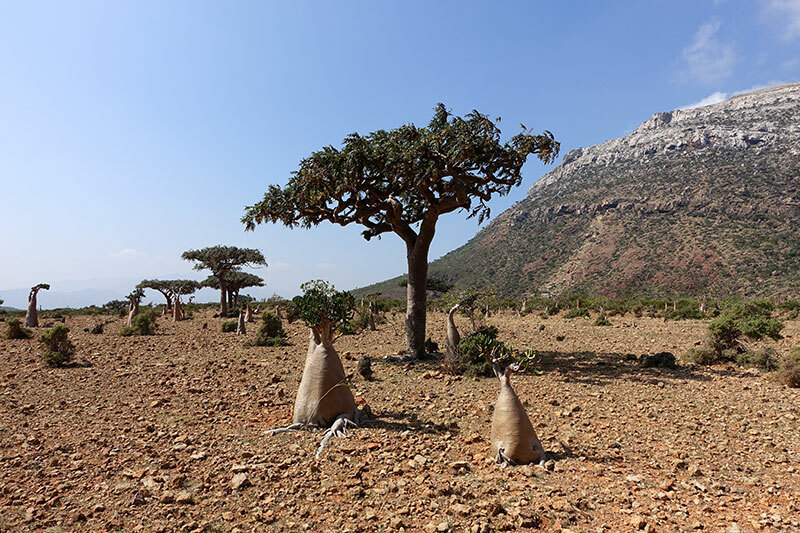 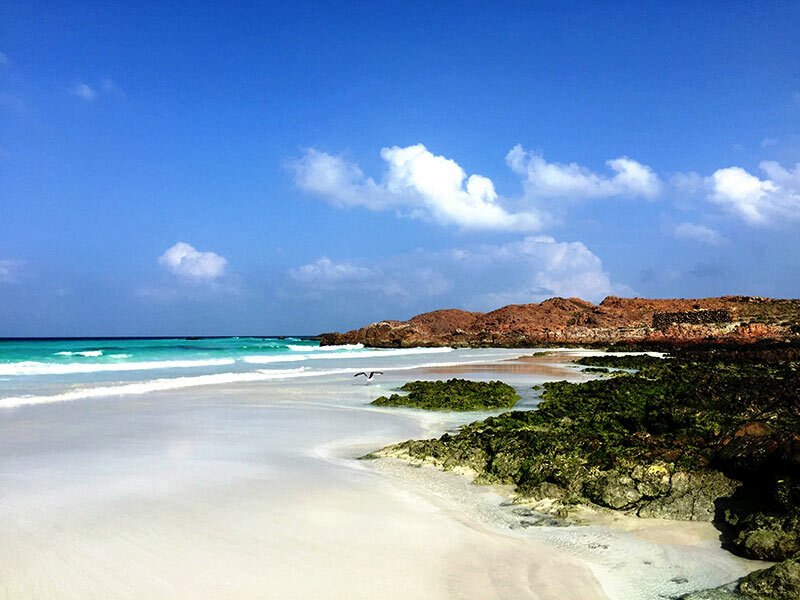 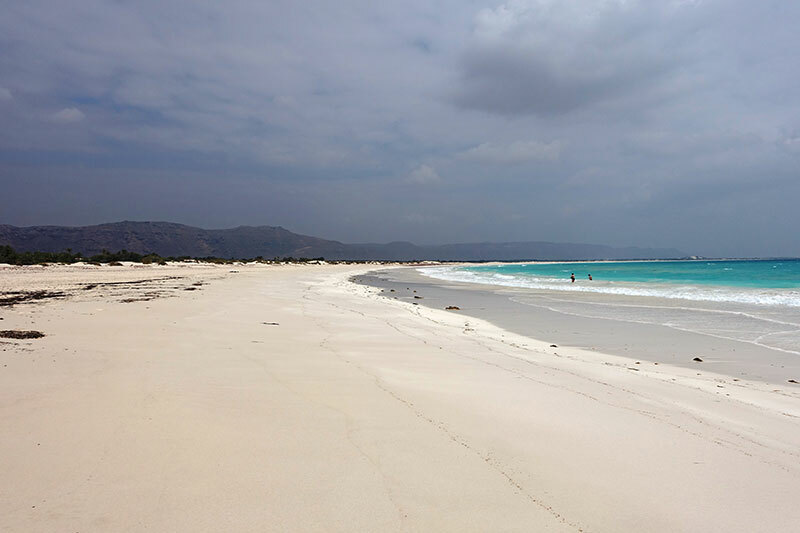 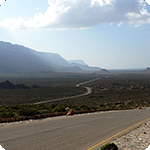 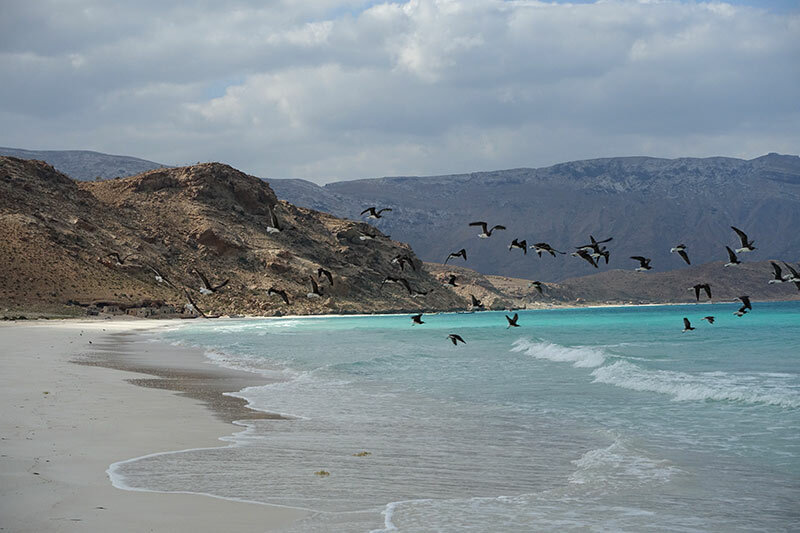 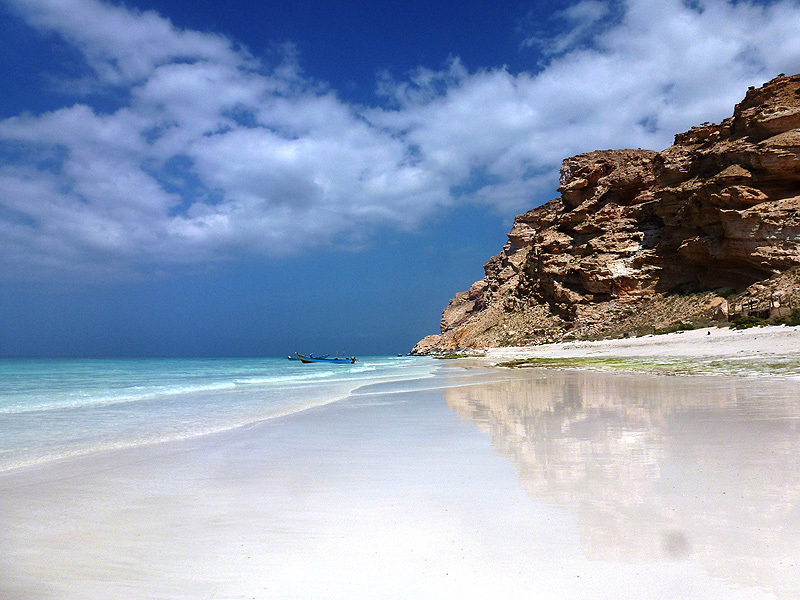 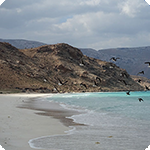 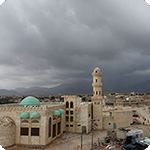 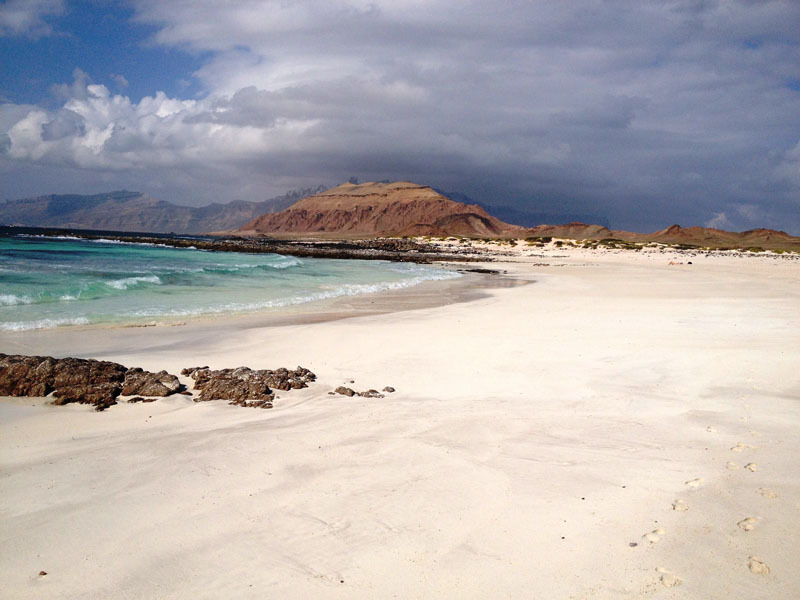 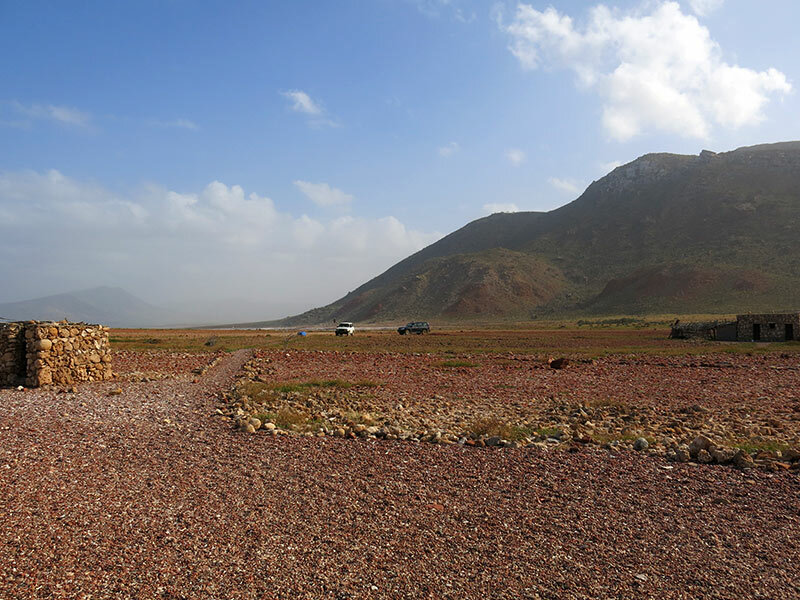 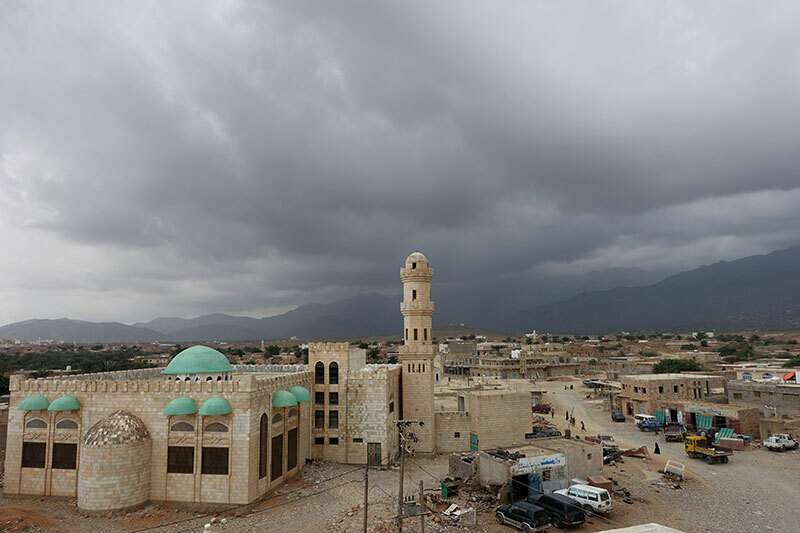 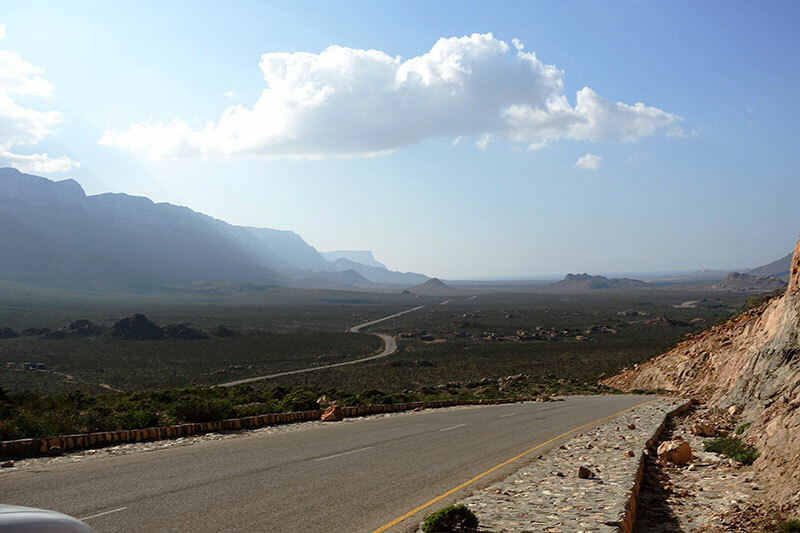 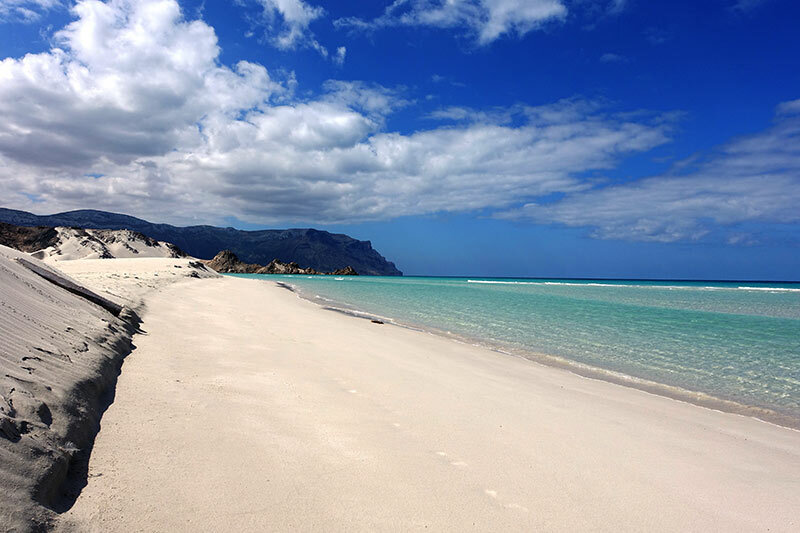 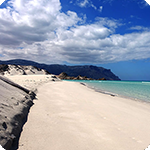 The capital city of Socotra, just 15 minutes far from the airport, is the only place to stay at a hotel. 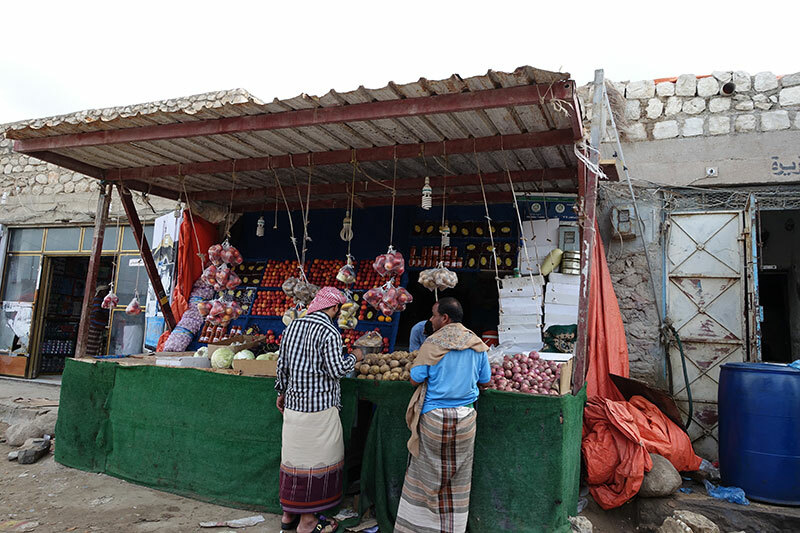 The authenticity makes the city worth visiting. 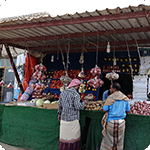 Enjoy this atmosphere and buy some souvenirs. 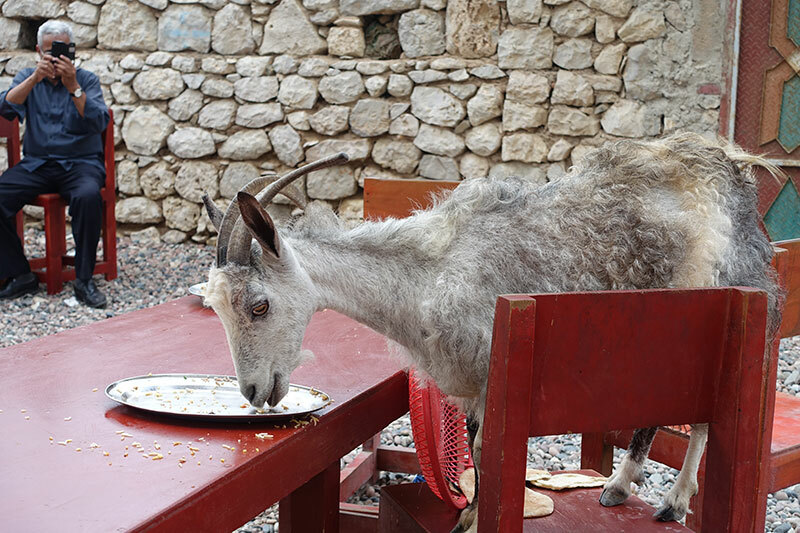 Clay roads, the ubiquitous goats and endless peace certainly do not allude to the atmosphere of the "capital" city. 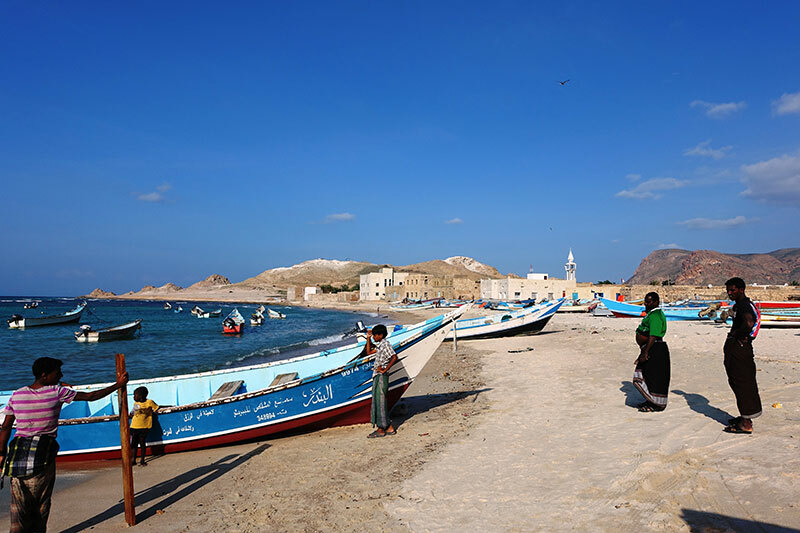 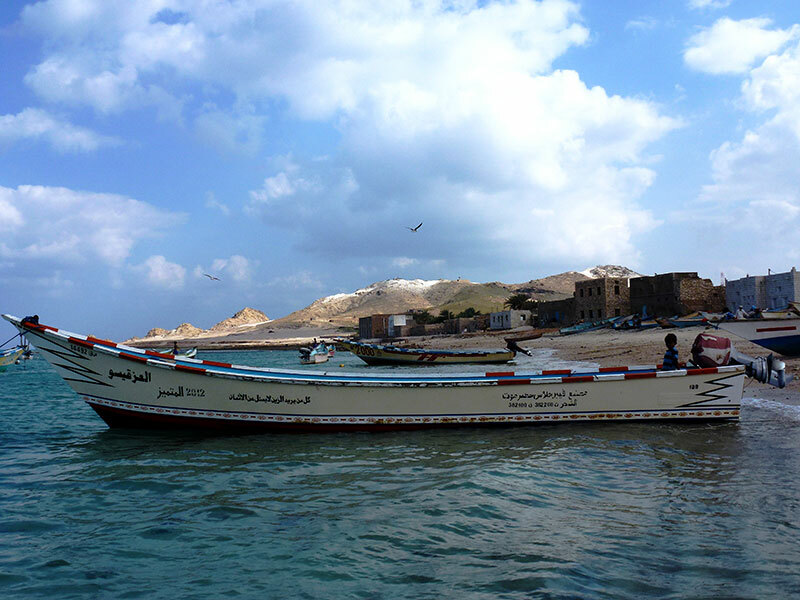 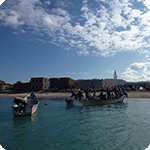 You will reach a picturesque and fascinating fishing village after two hours of ride to the west from Hadiba. 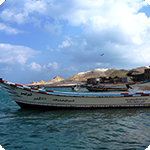 Qalansia is a port hamlet with characteristic atmosphere, narrow streets and with a few shops. 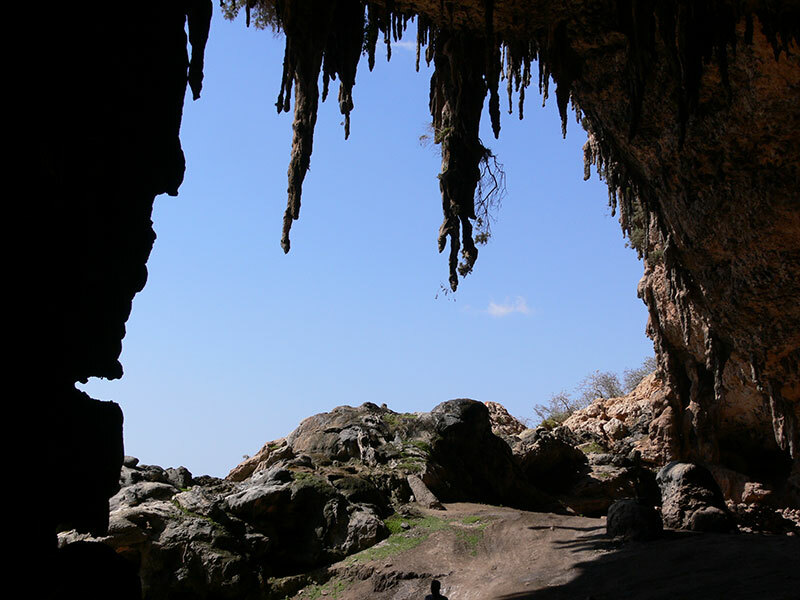 The largest cave HOQ spreads in the massive granite walls towering along the coast. 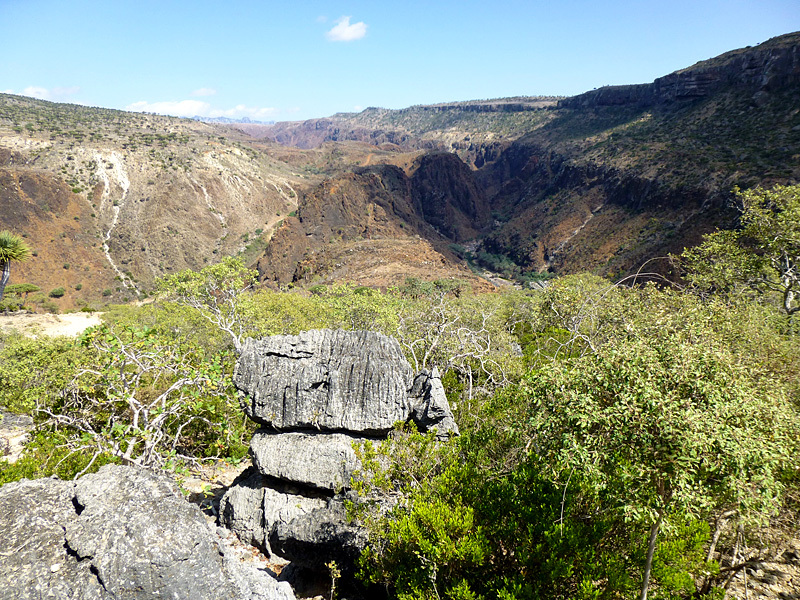 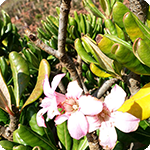 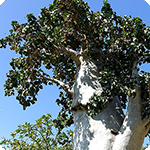 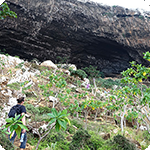 The 2-hour climb itself is great experience, you will pass through the unique flora of Brazilian Pawpaws, cucumber trees, boswellia trees and you have the opportunity to observe many species of rare birds. 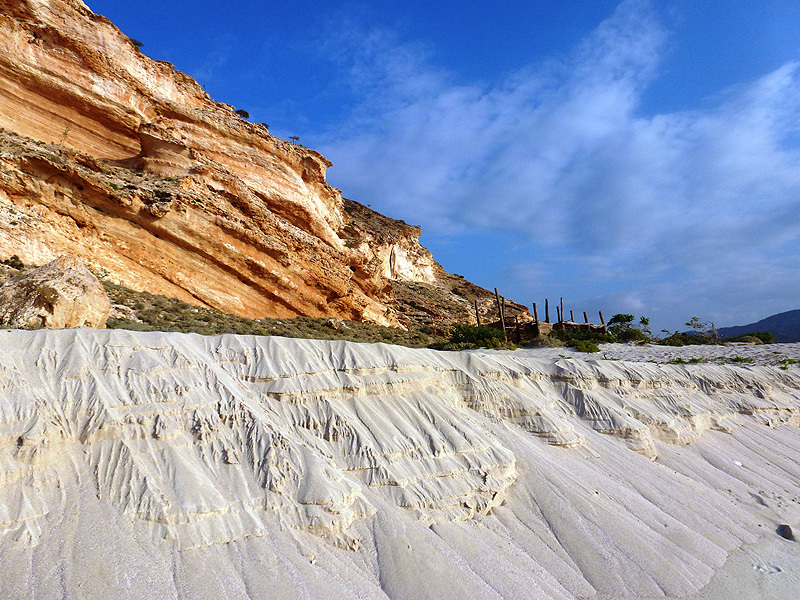 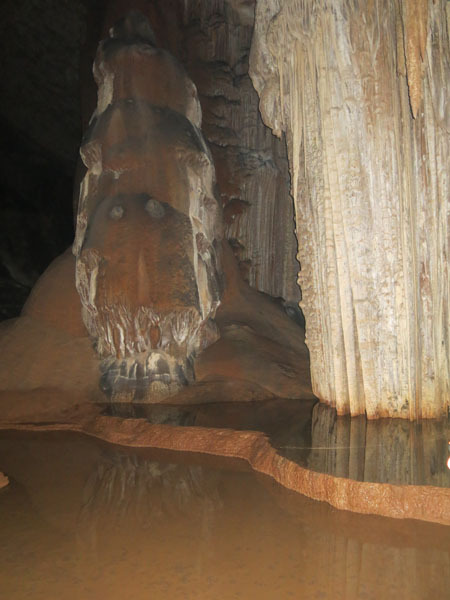 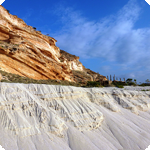 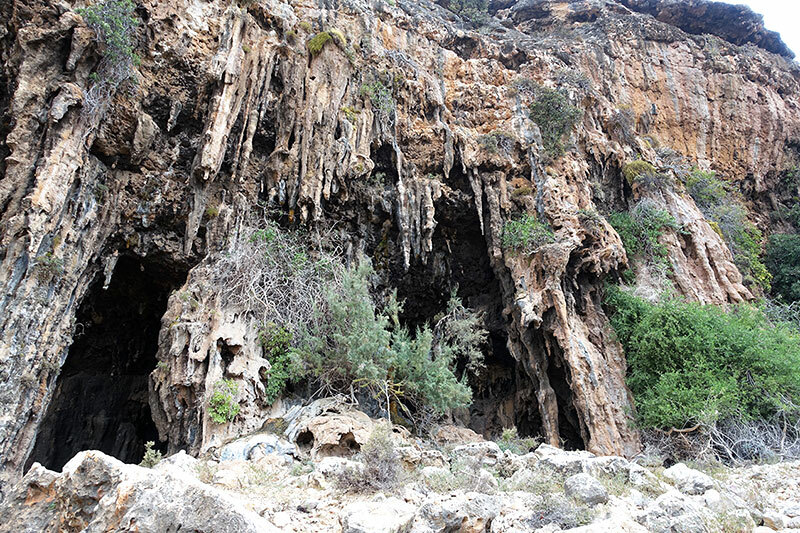 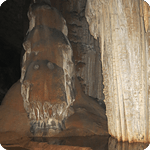 You will be impressed by the magical atmosphere of limestone formations. 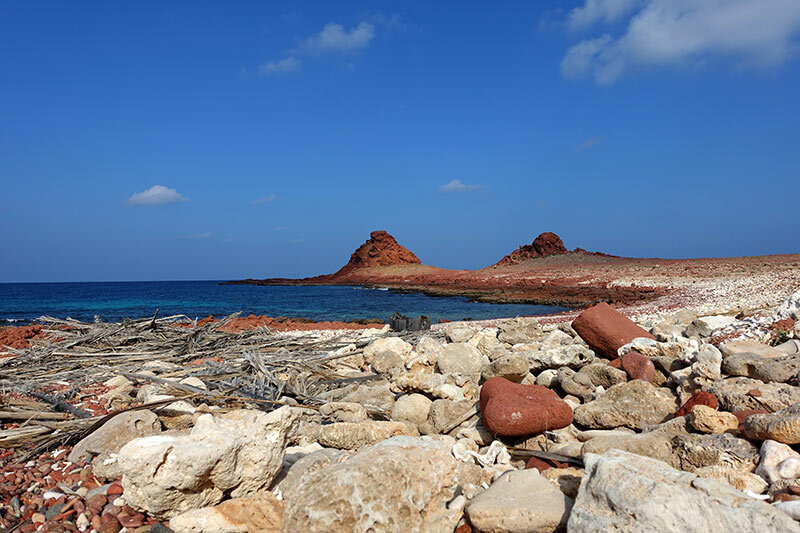 Recent archaeological findings suggest that this is a very important and perhaps crucial place that might have affected the history of the island. 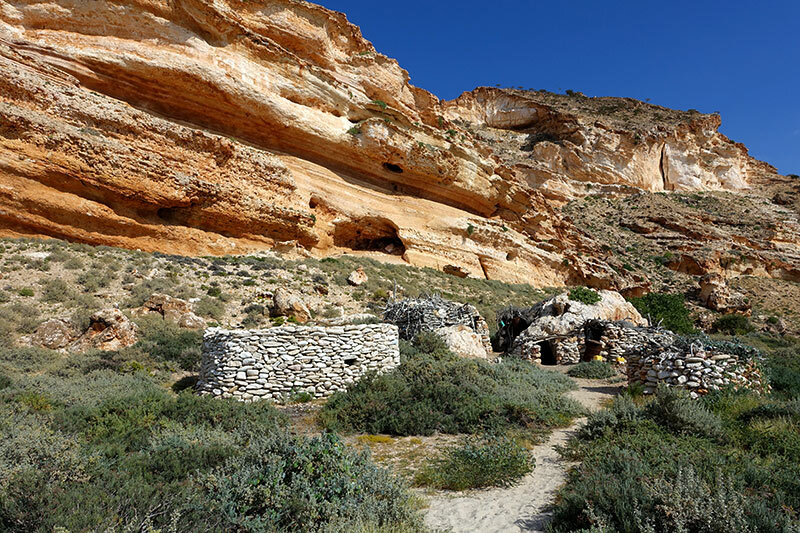 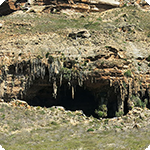 There is Dogub cave behind the belt of low dunes, at the foot of mountains rising from a wide coastal flat land. 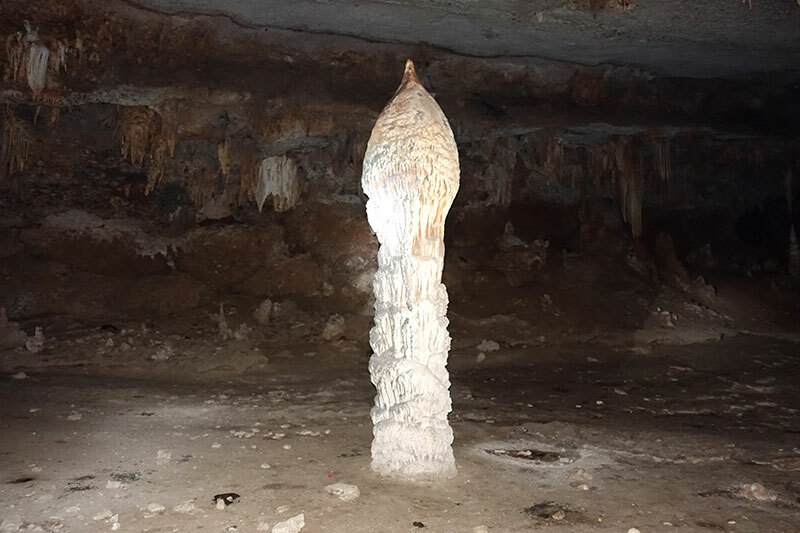 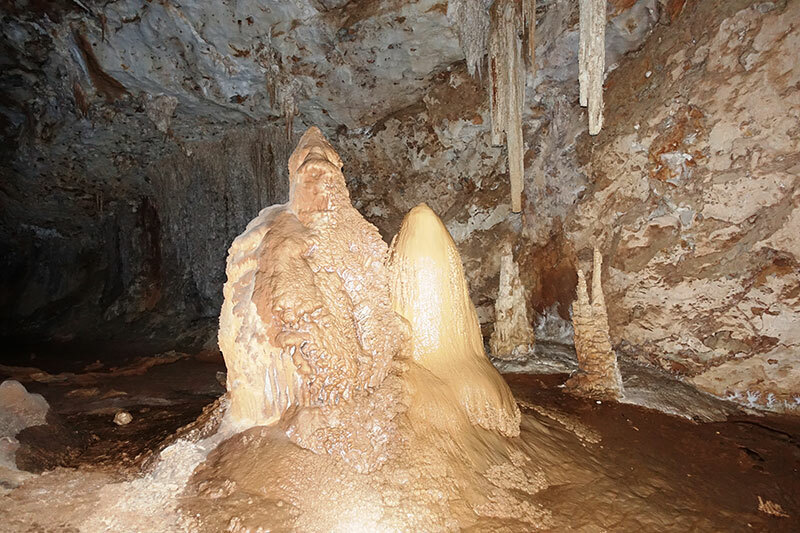 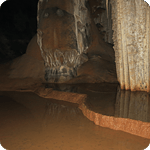 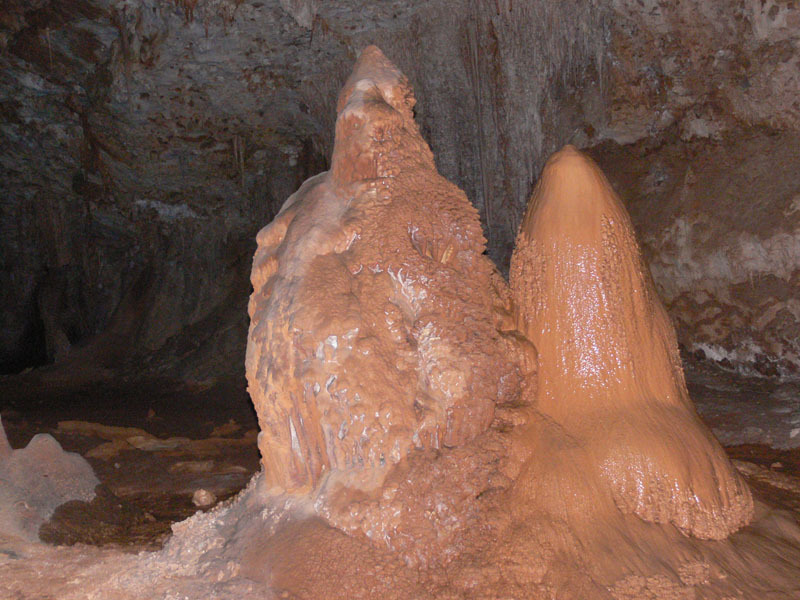 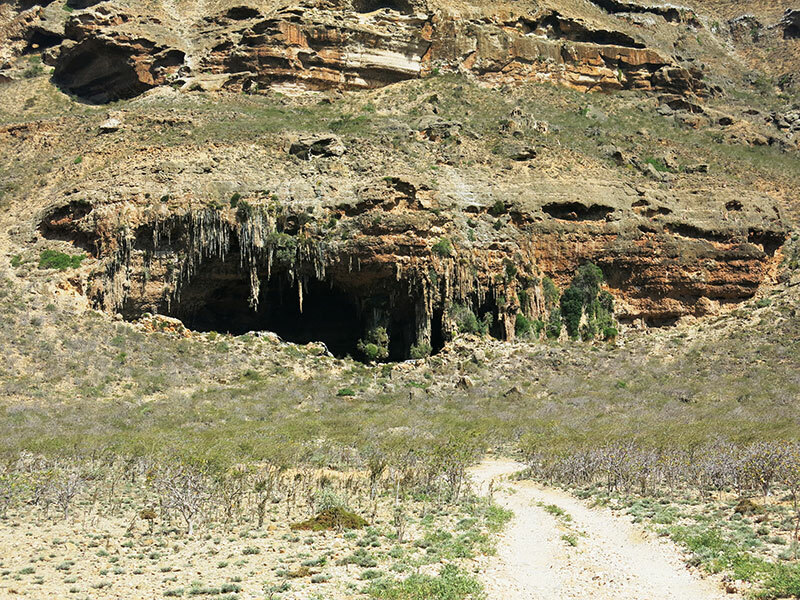 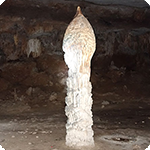 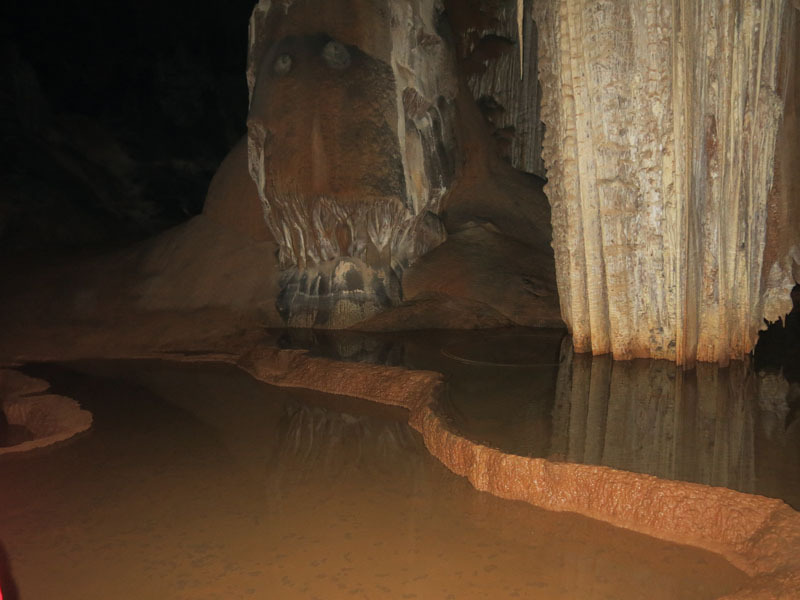 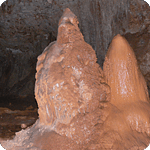 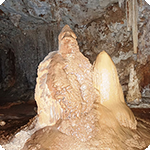 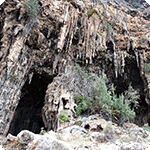 The most precious item of dry southern coast – clear water – flows down impressive stalactite and stalagmite formations in the entry to the cave. 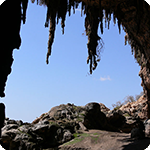 A number of animals, first of all bats and swifts find their asylum in the cave. 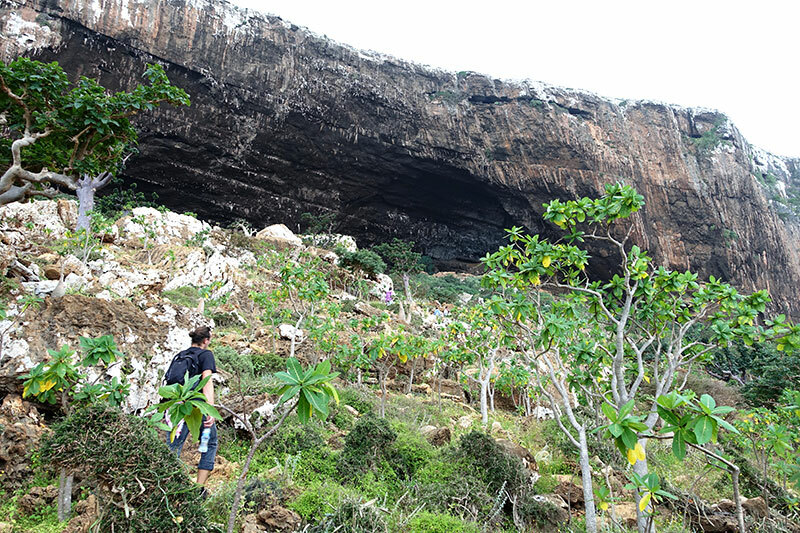 It is possible to get right to the cave by car.